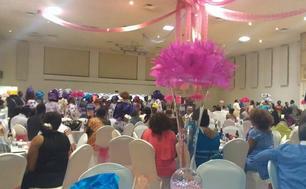 ATLANTA 2011 - GALA & PICNIC! CLASS OF '76 -'81 ROYALS "IN DA HOUSE" Y'ALL!! 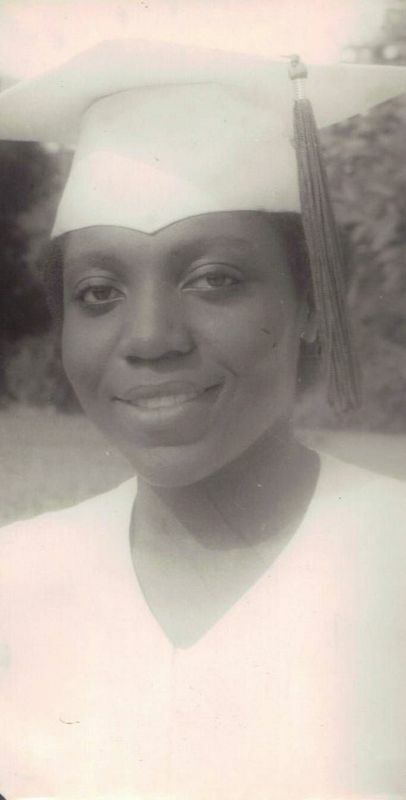 Click on icon to read "Why She Will Be Missed, In Her Own Words"
Class of '70's Mrs. Rose Valerie Kome Ngalame celebrates her 60th Birthday! SELLING WAAAAAY AFTAH DEH MARKET OH! 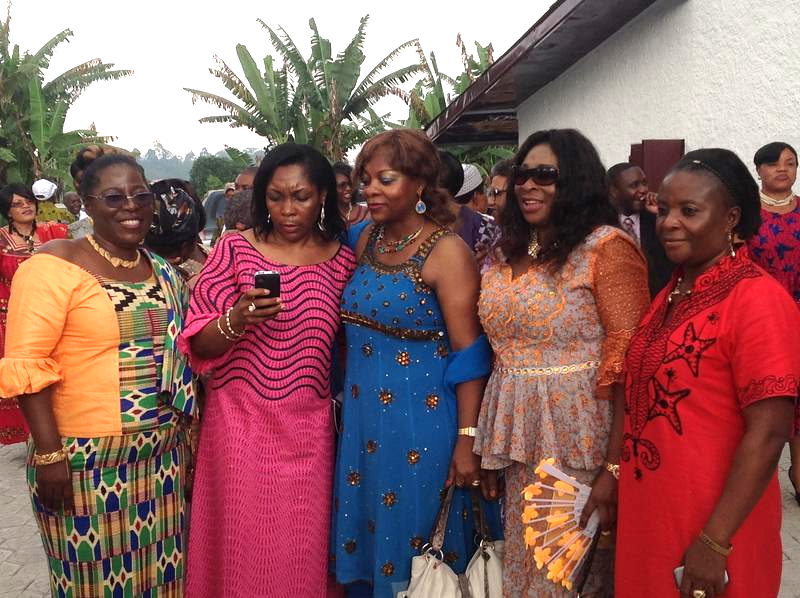 A few more CAPTIONED pictures from January's Golden Jubilee Celebrations in LIMBE! 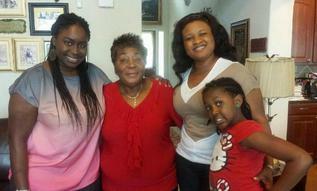 MOTHER'S DAY 2012 IN HOUSTON! 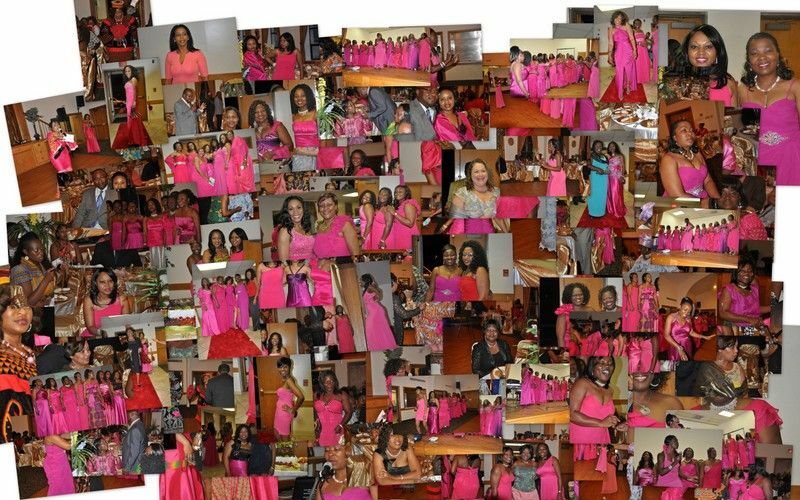 Please click on image/collage above to view STUNNING pictures of the June 15 2012 FATHER'S DAY FUNDRAISER organized by ExSSA-DC METRO!! Click on Icon below to Read Chapter President's Inspiring Speech. 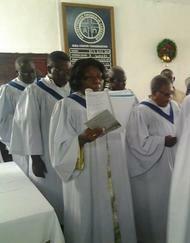 CLICK ON PICTURE ABOVE TO VIEW PICTURES OF MY JUNE/JULY 2012 NAIJA WAKA!! HAD A BLAST!! CLICK ON IMAGES TO VIEW PICTURES! 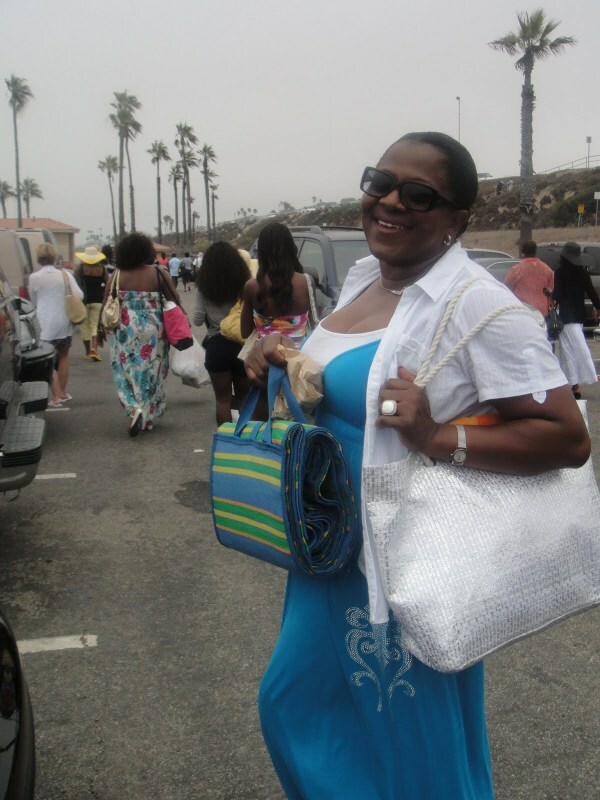 LET'S HEAD TO DOCKWEILER BEACH!! 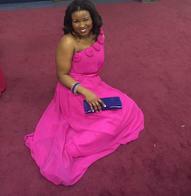 GLITZ & GLAMOUR AT THE GALA! TOUR OF LOS ANGELES, GENERAL ASSEMBLY & COMMON MEAL! CLICK ON LINK ABOVE TO VIEW CNE TV COVERAGE OF THE GALA NIGHT! 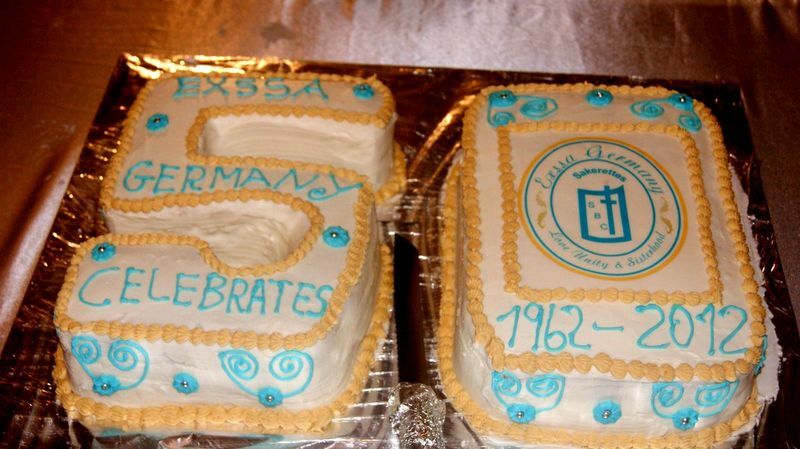 PLEASE CLICK ON PICTURE ABOVE TO VIEW PICTURES OF EXSSA-GERMANY'S GOLDEN JUBILEE CELEBRATIONS & LAUNCHING! 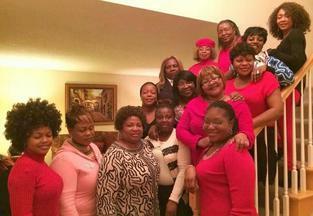 LOVE, UNITY & SISTERHOOD IN ACTION! GOD BLESS YOU, OH, MY DEAR SISTERS! YOU REALLY DID LIFT MY SPIRITS! 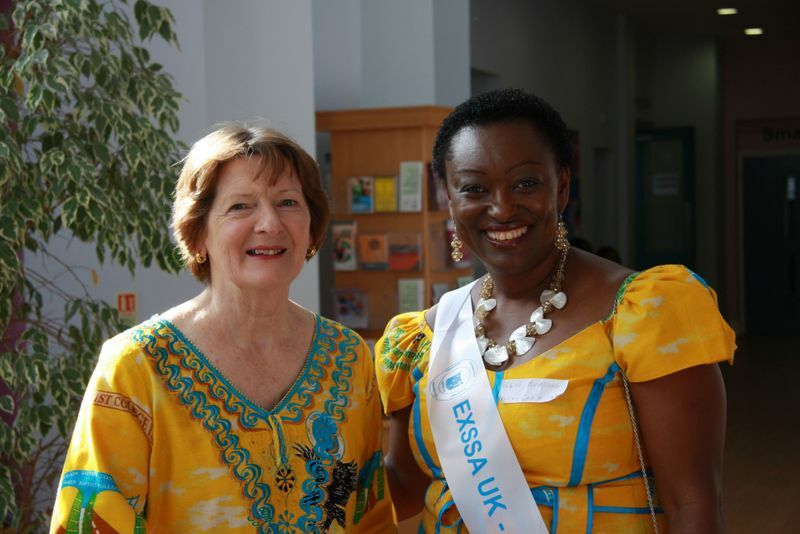 PLEASE CLICK ON IMAGE BELOW TO VIEW PICTURES OF ExSSA-CAMEROON'S 2012 AGM!! 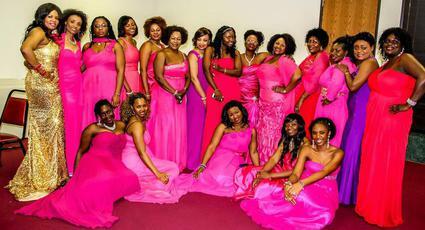 PLEASE HELP IDENTIFY THE "NAMELESS" LADIES OR CONFIRM THE NAMES POSTED!! Please Click on picture below! Click On Picture To View Album. 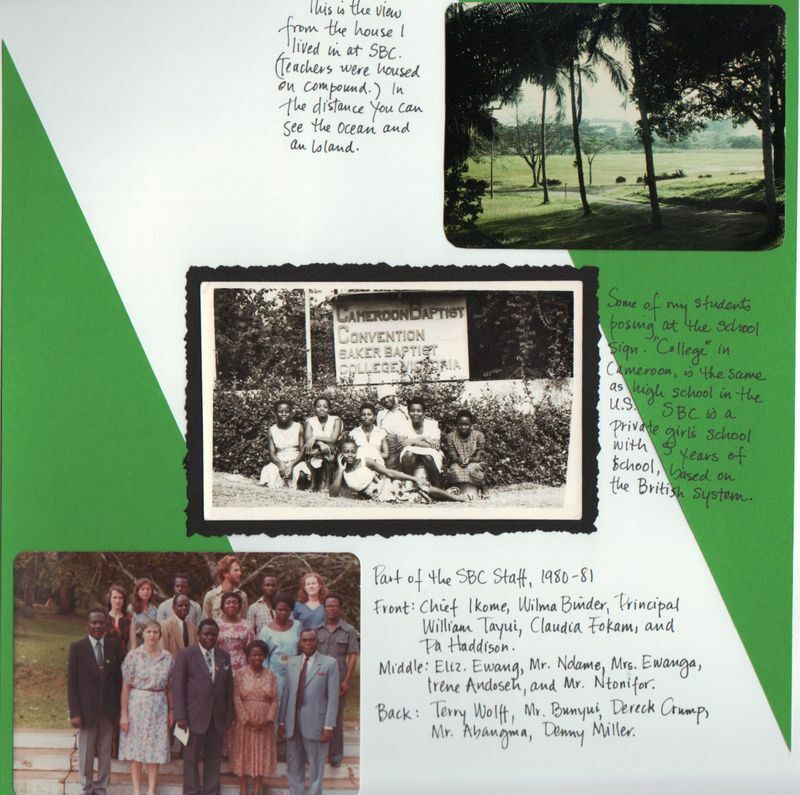 ​Please Click On Picture Above To View Real SBC TREASURES From The Late Sixties & The Late 80s, Courtesy Of Sis Esther Chongongei Masango & Her Daughter, Makuba, as well as, 14 NOSTALGIA-Inspiring Pictures I Fished Out From The Internet! 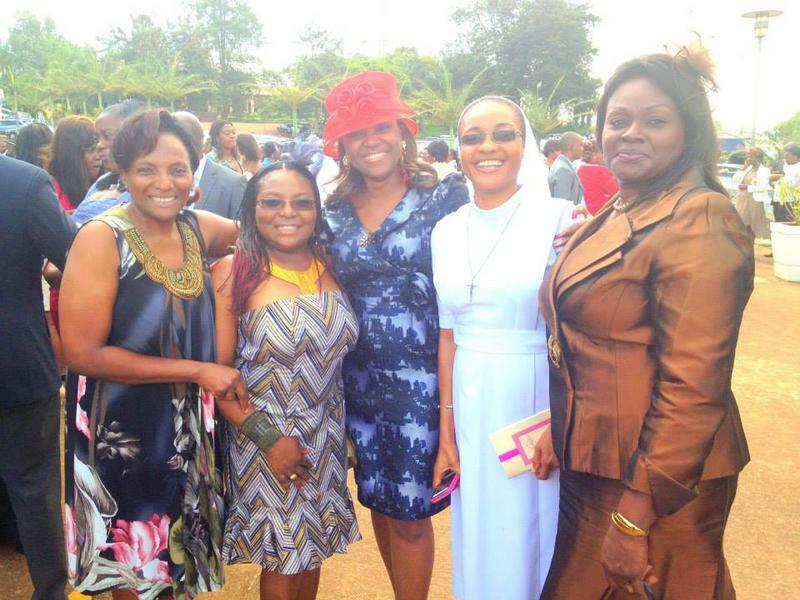 CLASS OF 1977's Sis JOYCE (PHOEBE) NKWETEYIM nee NTALE was Ordained in Kumba on Friday, June 1st 2013, and her PLUCKY Classmates were on hand to support her! PLEASE CLICK ON PICTURE BELOW TO VIEW THE MINI ALBUM! 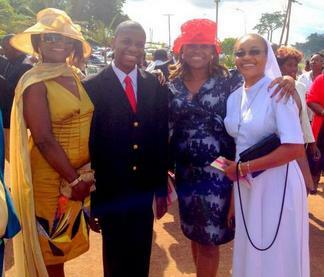 CONGRATS, REV.!!! 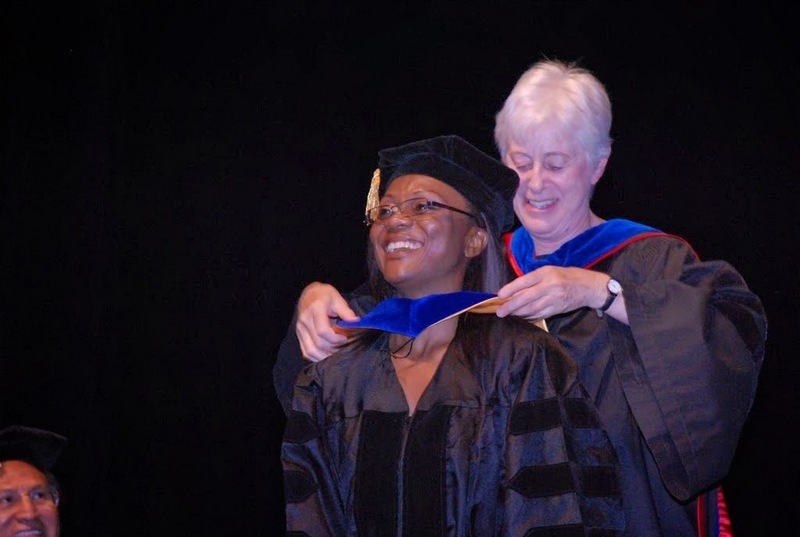 DOCTOR OF PHILOSOPHY IN EDUCATION, WITH A SPECIALIZATION IN INTERNATIONAL DEVELOPMENT!!!! PLEASE CLICK ON PICTURE ABOVE TO ENJOY THE ALBUM OF PICTURES THAT DO A DARN FINE JOB OF PORTRAYING THE INFECTIOUS JOY & JUBILATION DISPLAYED BY HER FAMILY, FRIENDS & SIBLINGS - TWO OF WHOM ARE EXSSANS!! 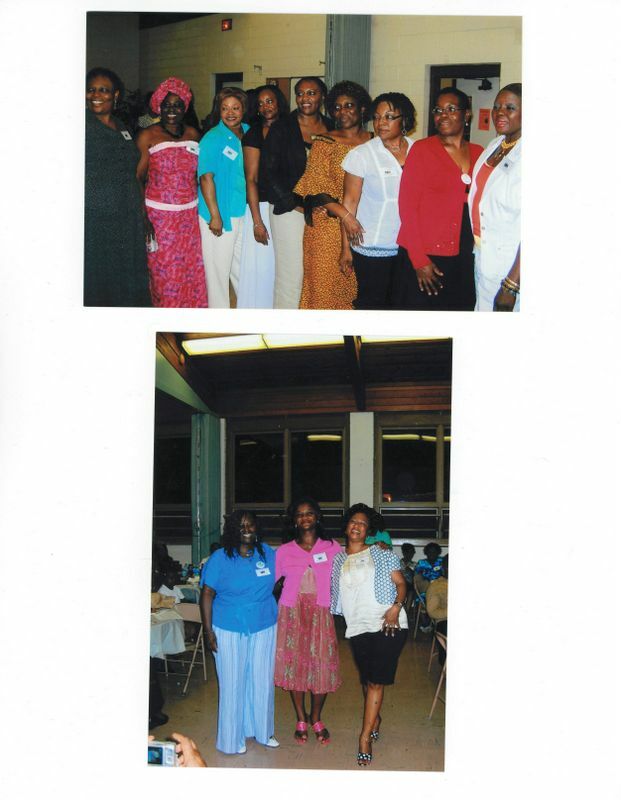 Standing behind MA from Right to Left are: Mrs. Olivia Nguh Komtanghi, Mrs. Emmy Kangsen Kisob, Mrs. Constance Atabong Nkwantah, Mrs. Ebenye Njonjo Tambi, & Mrs. Linda Ewusi Elad. EXSSA-YAOUNDE KNOWS THAT ONLY TOO WELL! 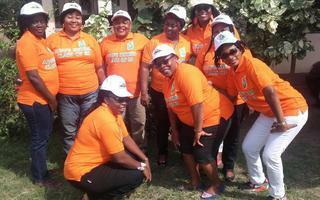 They came out in impressive numbers and successfully took on Yaounde's challenging "PARCOURS VITA"! A SEND OFF LIKE NO OTHER! who will soon be relocating to Canada along with her family. P.S. 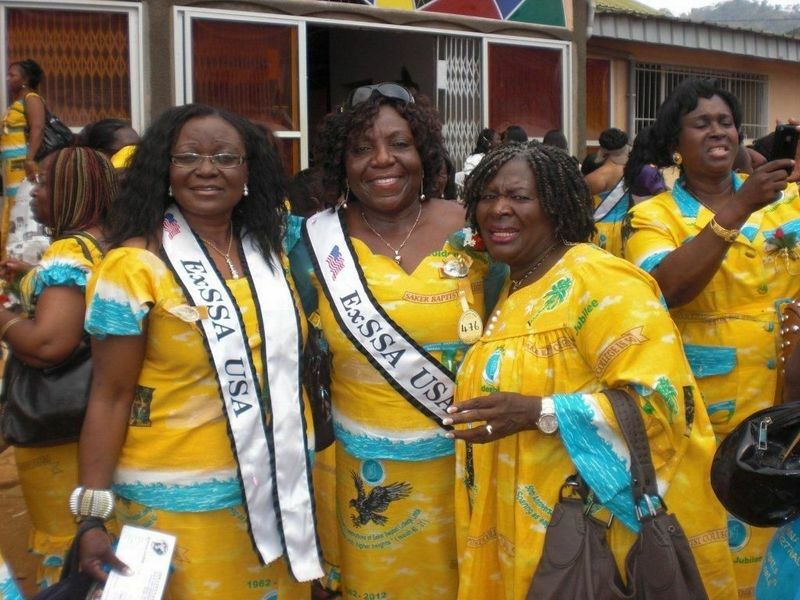 Dear Anita, you better believe that the MEMBERS-AT-LARGE Chapter of ExSSA-USA & her MANY CANADA-RESIDENT MEMBERS are just as EAGER to welcome you, as ExSSA-DOUALA is sad to see you leave oh! 'Am just sayin'! ​PLEASE CLICK ON PICTURE BELOW TO VIEW PICTURES! 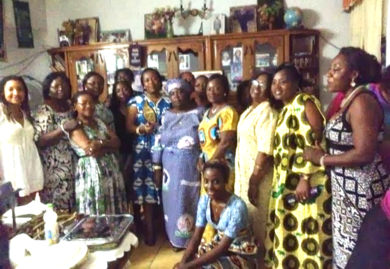 ExSSA-YAOUNDE TAKES SISTERHOOD TO A WHOLE NEW LEVEL, WITH MONTHLY BIRTHDAY CELEBRATIONS!!! Please Click On The Image Below To View Captioned Pictures! 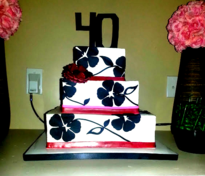 CELEBRATE 25 YEARS OF BLISSFUL MATRIMONY!! 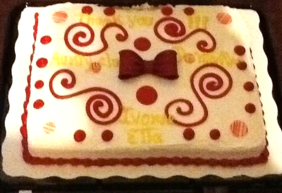 CLICK ON BOTH IMAGES TO VIEW CAPTIONED PICTURES OF THE MOMENTOUS EVENT!! PLEASE CLICK ON THE PICTURES TO VIEW THE ALBUMS! 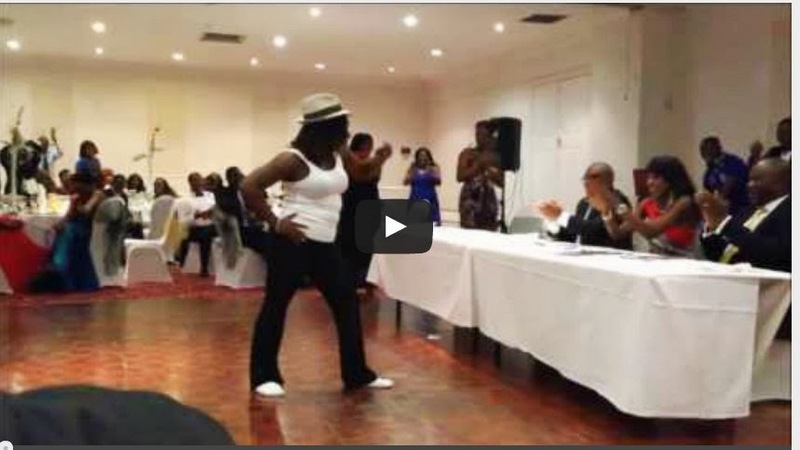 PLEASE, Click on the 2 LINKS & IMAGE to the LEFT to view EXHILARATING FOOTAGE of the ExSSA-U.K's GOT TALENT Show ooh!! 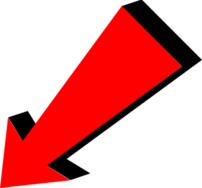 LINK 1. 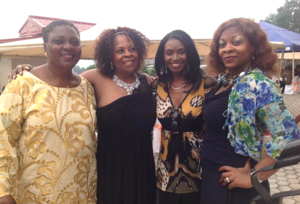 London Region: Sisters Kofo Anjorin, Mary Manga (PIONEER) & Patience Moffah. 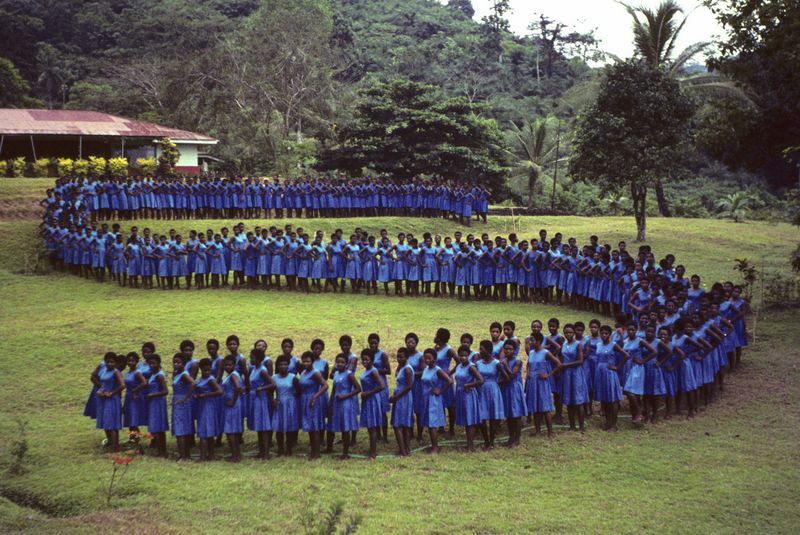 IMAGE: MAL Region: Doreen Mbuagbaw. 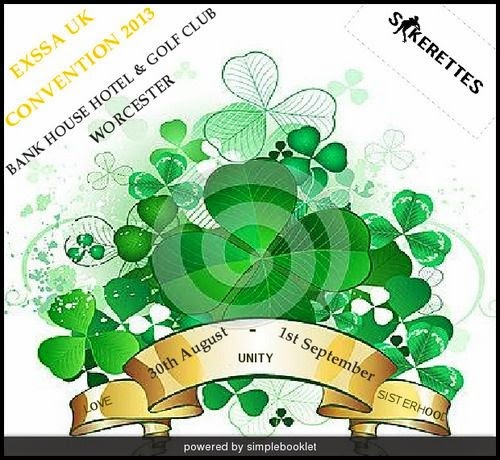 ​Please Click on Top Icon to View the EXSSA UK 2013 CONVENTION BOOKLET distributed to all attendees of the Convention in Worcester. 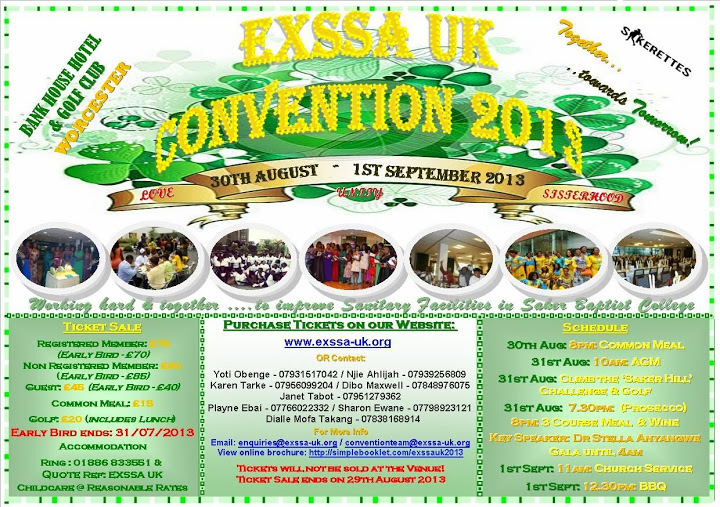 200 A5 glossy copies were printed and ExSSA-UK made some substantial gains from all the Adverts in the Booklet. 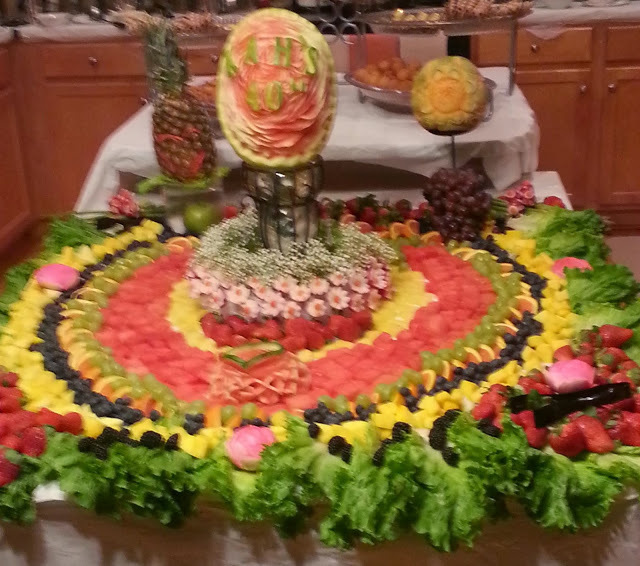 Click on Bottom Icon to View the PUZZLE distributed to each Table and used as interlude between the Meals. 2 Tables won bottles of wine (amidst protests from some for their answers to be audited!!) Enjoy! Please Click on Play Button to view some "serious" jubilation after the ladies conquered the "Saker Hill" without incident! Click On Image Above To View Album! "EN DIRECT" DE YAOUNDÉ, LA CAPITALE!! Remember this "Sweet-Pass-Honey" Comment by the Author of the Long Awaited and Very Much Appreciated "2013 CAMEROON G.C.E. RESULTS ANALYSIS"?? 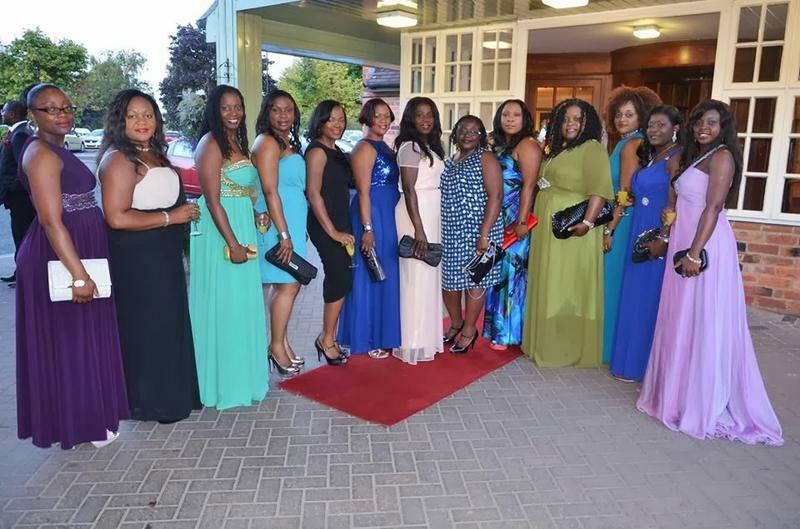 "The girls of Saker Baptist College believe that their school is the best in the whole of Cameroon when you put together all aspects of school life and the fact that they have the most colourful and vibrant ex-students (called Sakerettes) in the world. 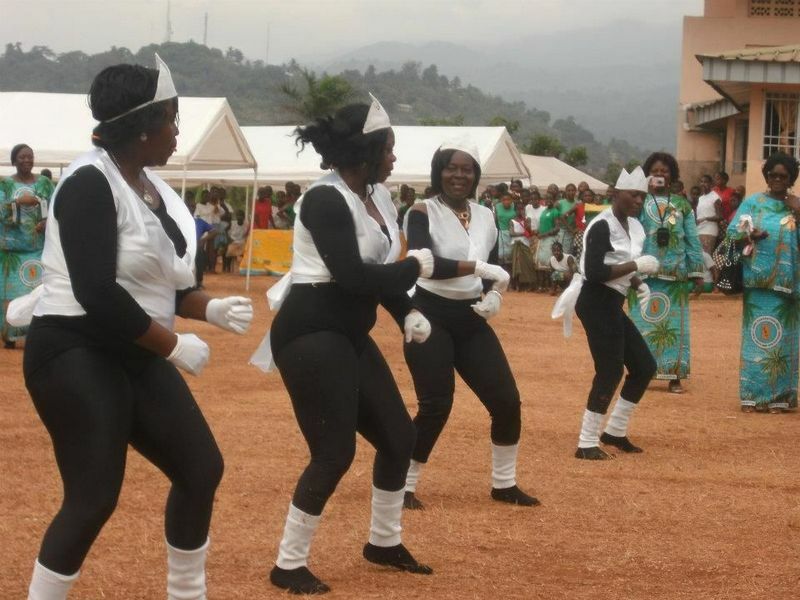 They cannot wait to join the glamour world of the Sakerettes after they leave school." 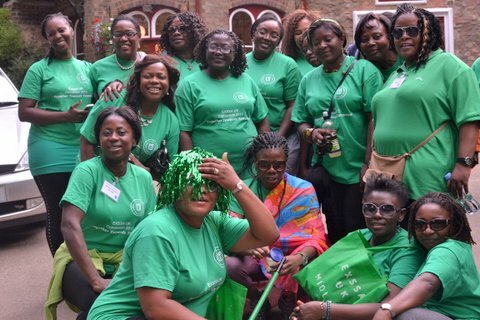 L-R: Michelle's dashing CARAT Zachy, Class of ’84's Anne Yakum Fondufe, Ernestine Polle Mbacham's cute Sakerette CARAT, Sharon Mbacham - final year Medical Student oh, ah beg!, Class of ’80's Ernestine Polle Mbacham and Class of '83's Michelle Ngouah-Ngally. 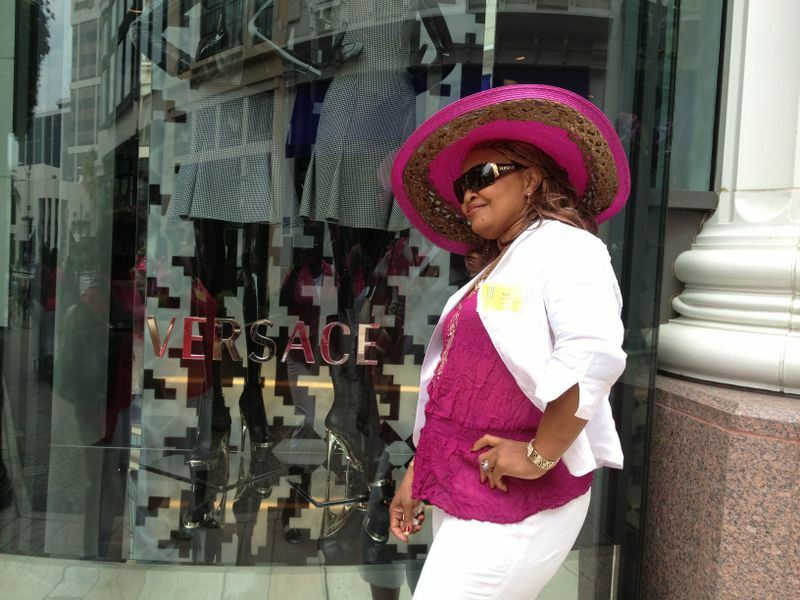 The Plucky Class of 77's Ms Sissako Tamko - (MY GRAND DULONG, don't hate!! 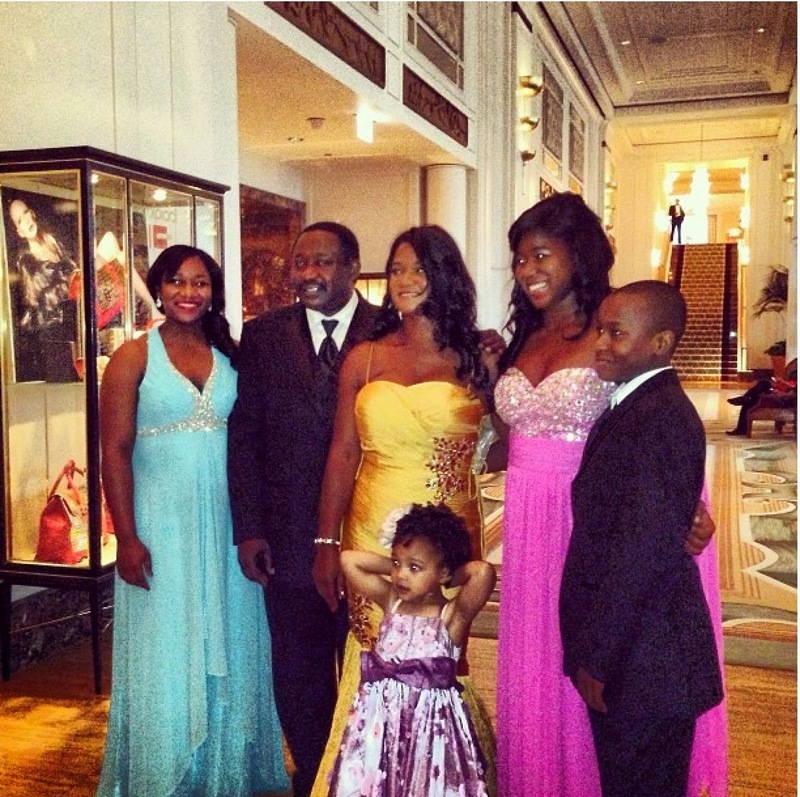 ), CARAT Zachy, Michelle Ngouah-Ngally, & Sr. Jackie Atabong. 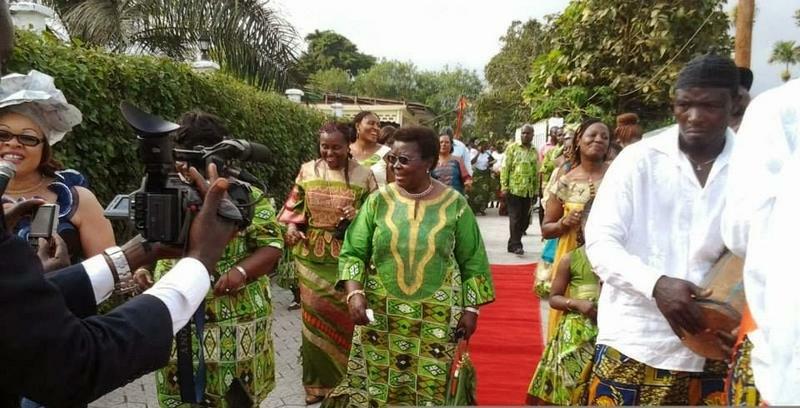 Willing to bet a pan full of Mammy Baba's "Blockade" & "Kanda" that only the Bride Herself glowed any brighter than these women at this August 2013 Wedding! 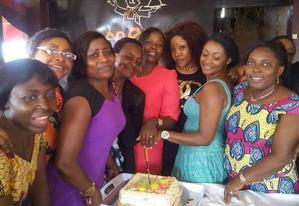 ​ExSSA-YAOUNDE Keeping up its tradition of CELEBRATING each month's Birthday Gals! Behold the AUGUST Babes! 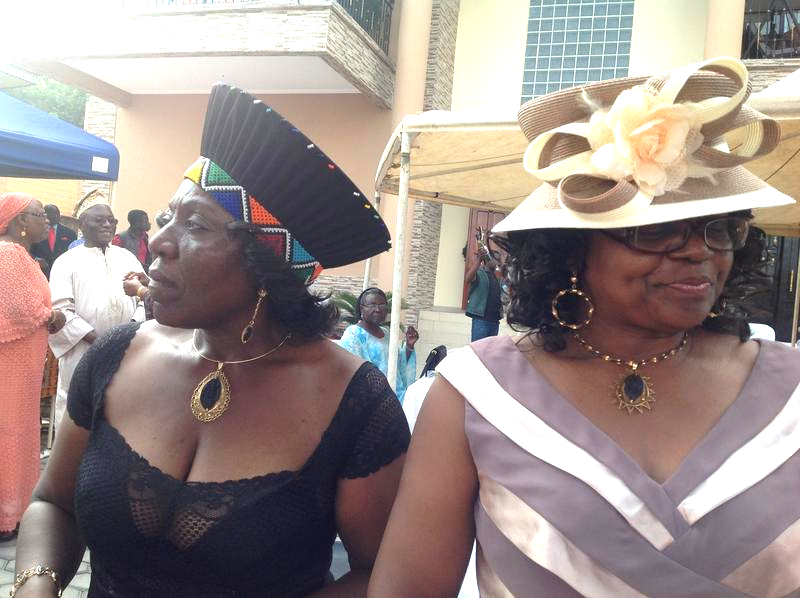 L-R: Bessie Bah Awah, ? 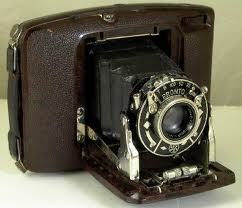 ?, PIONEER - Sis Playne Fuondjing Bilikha, MY GRAND DULONG AHGAIN OH! 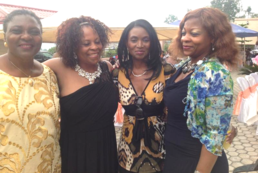 - Sis Sissako Tamko, Elvira Ambe, Sis Alice Gwanyama Lima & Sis Jane Tarkang. The Guests with H.E. 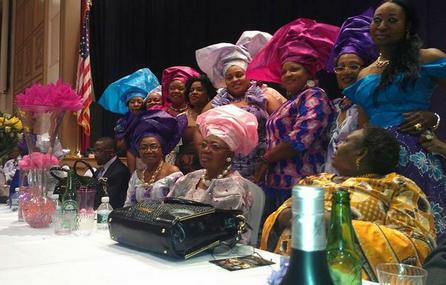 NKWELLE EKANEY, Cameroon High Commissioner to Great Britain and Northern Ireland, the very supportive CAT who chaired the Gala Evening during the Golden Jubilee Celebrations in Limbe, (2012) and was conspicuously PRESENT at ExSSA-USA's August 2013 Convention Gala in New York! 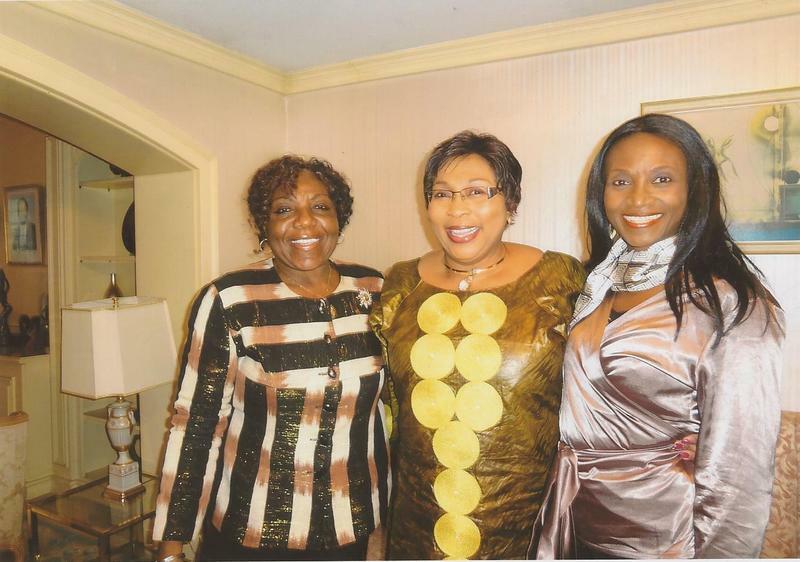 Sakerette first lady of cameroon in the UK, Sis Janet Nzuonkwelle Ekaney (Class of '71) plays host(ess) to retiree holiday maker, Dr. Stella Nwigwe Anyangwe (Class of '69), and Sissako Tamko (Class of '77), on diplomatic communication internship in London, at the Cameroon residence in Hampstead. Courtesy of Ms Mary Gwei! If you thought that the firm relationship that SAKERETTES' have with "NYANGA" is a recent one, I hope a glance to your left and another to your right have informed you that you thought WRONG! DE "SHOW BEEP" MATTAH BE DON START SIIIIIIIIINCE! 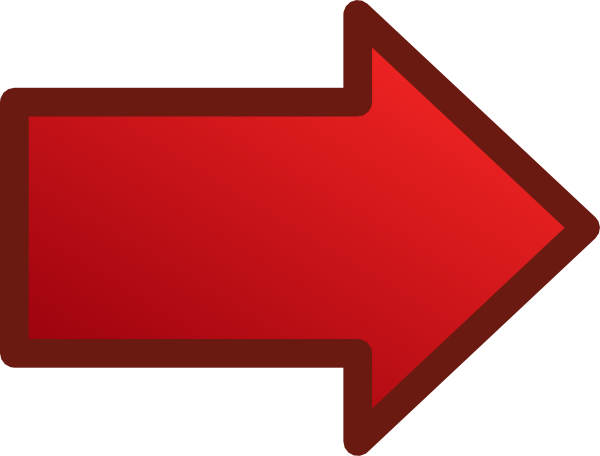 PLEASE CLICK ON THE IMAGE ABOVE TO SEE A FEW MORE PICTURES! 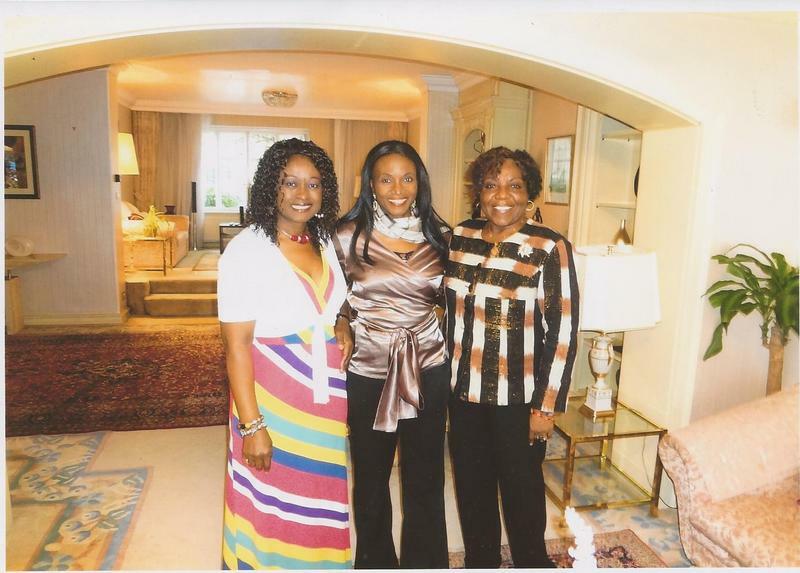 Sisters Christie Mbafor, Mary Gwei and Emilia Ngonga. 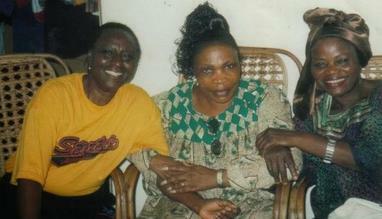 Sisters Mary Gwei, Rose Musong, Enna Njini and Becky Nyanganji. ExSSA-HOUSTON'S EXTRAORDINARY SEPTEMBER 2013 MEETING! Please Click On Picture Above To See Entire Album! Can anyone list all the different kinds of stitches on display here?? 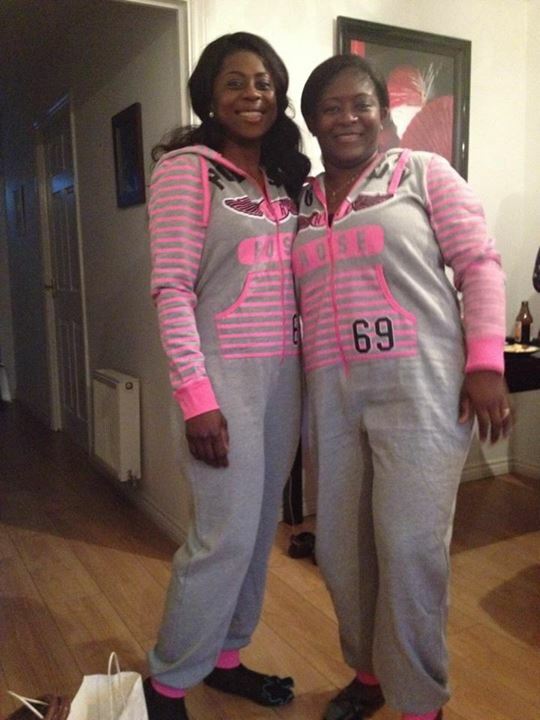 Pauline Litumbe Hill & Bakume Ayuk. CAN YOU TELL WHERE ON S.B.C CAMPUS THEY ARE? 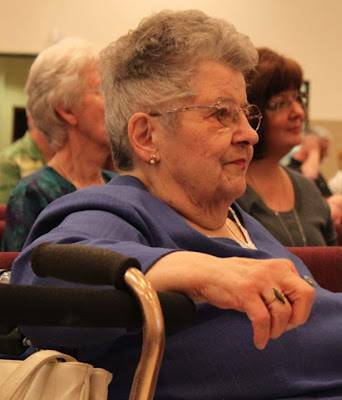 In the 3 years he and his wife of 56 years, Mrs. RUTH WITT, spent at S.B.C., they did more than most would achieve in an entire lifetime, to minister in word and deed. 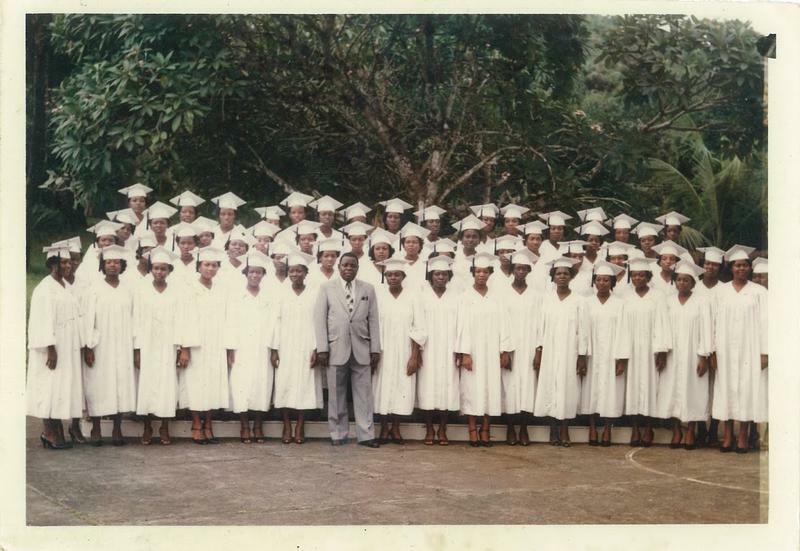 More than half a century has gone by since they served so sacrificially and selflessly in Cameroon in general, and Saker Baptist College specifically, but the effects of the positive impact they made are still very visible today. 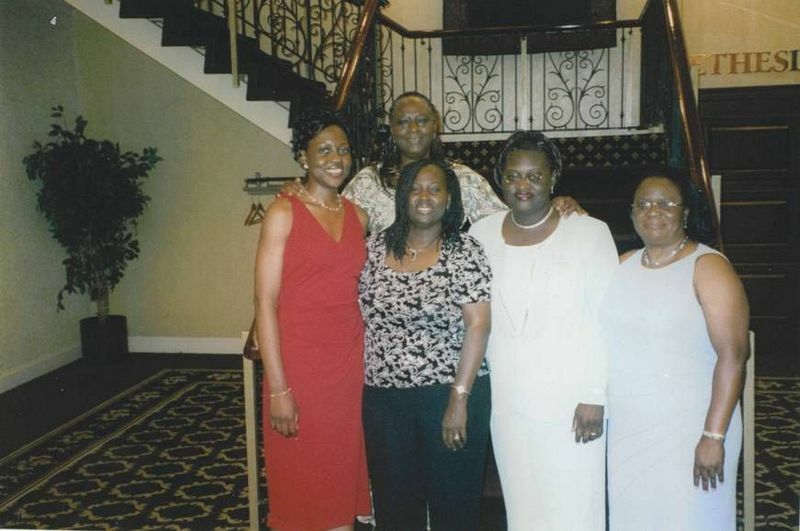 The WITTS are affectionately & fondly referred to by the "Saker Girls" of the late 60s era, as UNCLE DONNIE & AUNT RUTH and, less than 5 minutes into the very first of the many phone calls I have since made to and received from them, I understood perfectly why!! 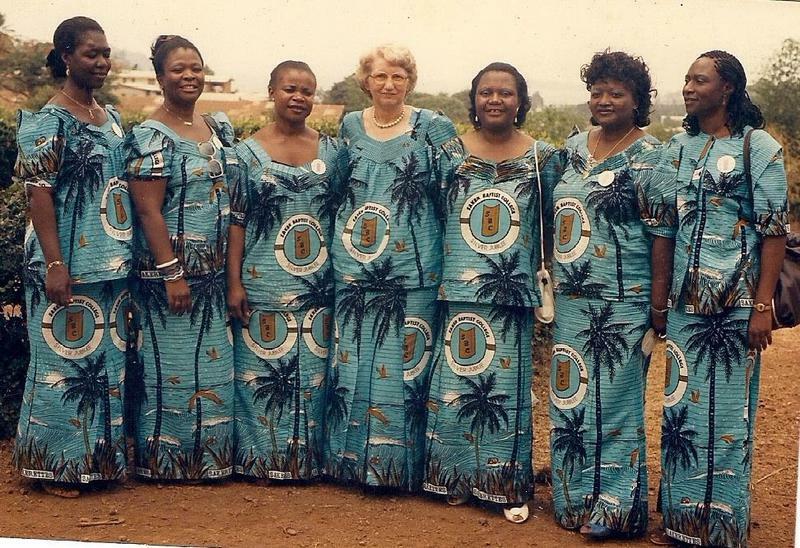 The very fact that they were not just willing but EAGER to entrust the PRICELESS PICTURES and MUSIC that have helped tell and DOCUMENT the heretofore UNTOLD story of THE CAMEROON COLLEGE SINGERS into my care when they had never even seen or met before, speaks volumes!! 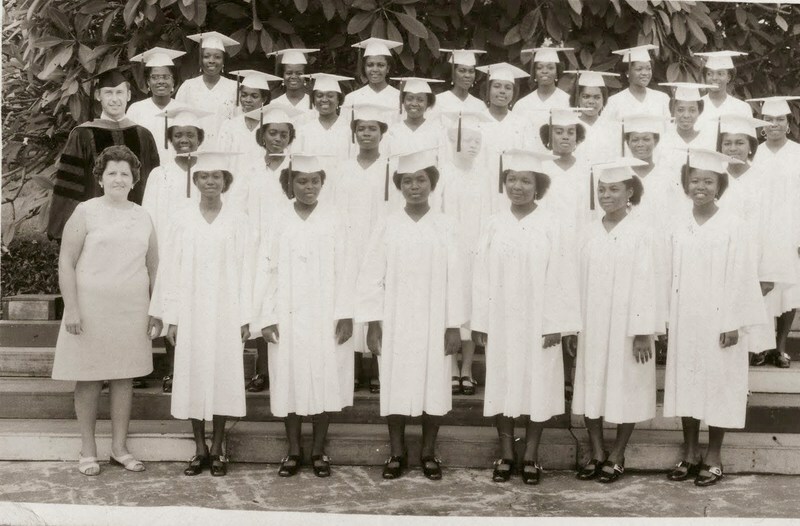 It is THANKS TO THEIR CONTRIBUTION to SAKERPRIDE that it is now possible to search the internet for information on the CAMEROON COLLEGE SINGERS, and find practically everything there is to know about them from the Pictures of the Tour & the Music they produced, right down to authentic copies of their itinerary and airplane tickets!! PERSONALLY, it has become a joy to talk to and be encouraged by them. Hearing "UNCLE DONNIE" ask, after I have spoken to him, if I'd like to speak to "THE BOSS", and then call out: "HON(EY)!!" to get Mrs. Witt on the phone never fails to put a smile on my face and leave me misty-eyed. The couple now resides in Mt. 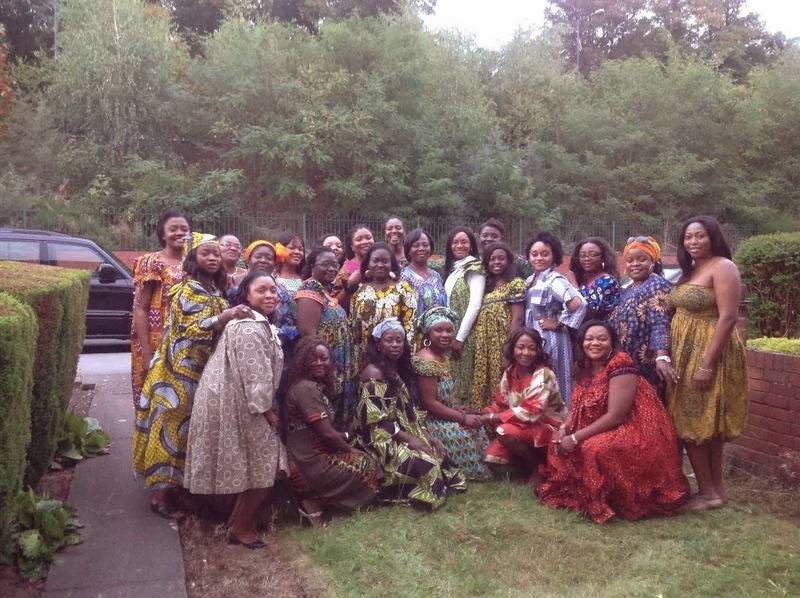 Juliet, Tennessee which is where first, "Aunty Clo", (Mrs. Claudia Fokam Bumakor), and then Dr. Stella Nwigwe Anyangwe, (both of Members of the Class of '69 and of the Cameroon College Singers), visited them in August and September of this year, respectively. 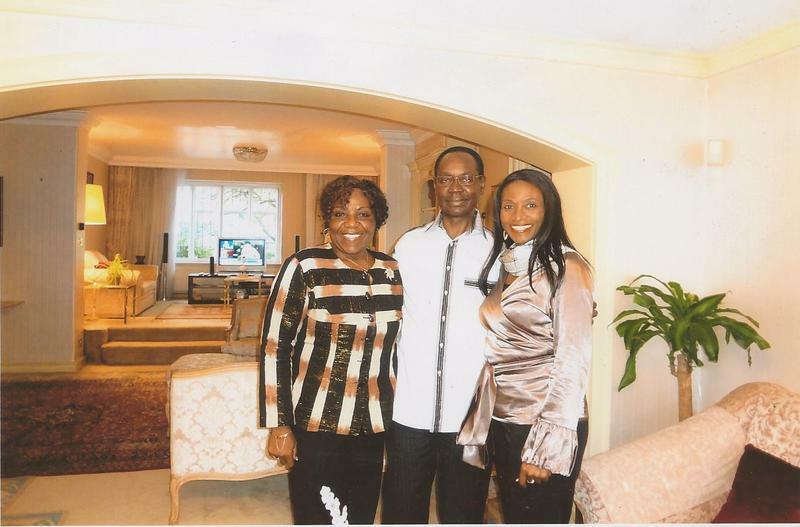 In fact, the (color) pictures below were shared by Dr. Anyangwe. Because they have had, (and continue to have) challenging HEALTH ISSUES to contend with, I would like to ask everyone to please LIFT THEM UP IN PRAYER, remembering to do so with GRATITUDE for their Service to The Lord, to their Fellow Man and to US, SAKERETTES. 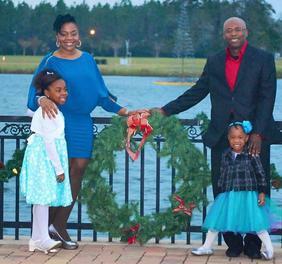 MAY GOD CONTINUE TO BLESS & KEEP THEM, LOOK KINDLY UPON THEM, BE GRACIOUS TO THEM, AND GIVE THEM PEACE!! AMEN!! 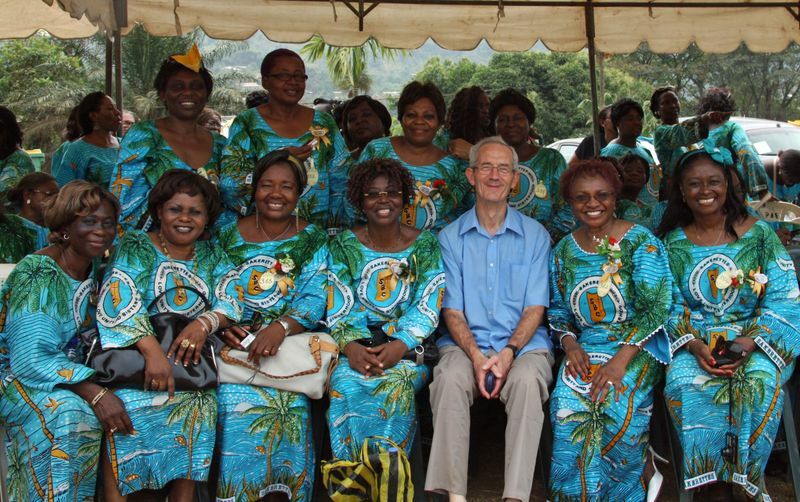 **Please Click On This Link To Go Directly To The Page On This Website That Chronicles The CAMEROON COLLEGE SINGERS' Tour In Great Detail, PICTURES, MUSIC & all! A couple of days ago, (this October 2013), she unearthed and shared a number of pictures from her SAKER DAYS which are definitely worth takinga look at! CLICK ON THE PICTURE BELOW,GO BACK IN TIME & ENJOY! SAKERETTE SOLIDARITY ALIVE & WELL IN OXFORD! "I am very grateful for all your support during this period of mourning. 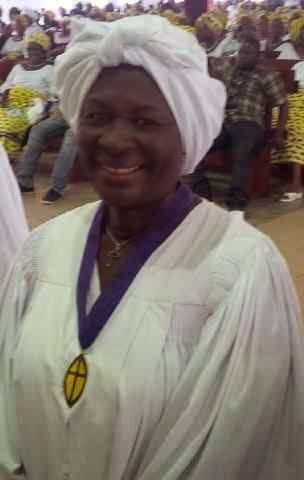 My stepmom was laid to rest last weekend. 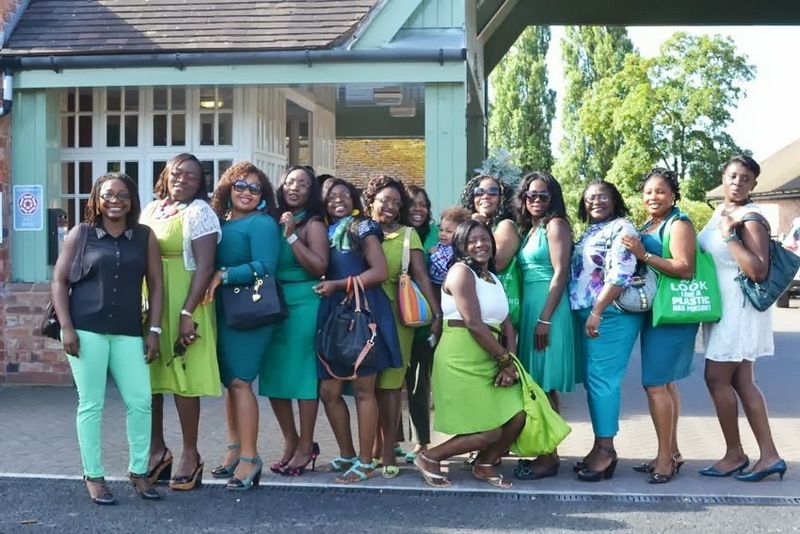 As you all can see in the pics, my own very sisters, classmates and dulongs were there, not forgetting Ms Pati-lee Elufdesh who left before the pictures were taken. Thank you all again and God bless." Please Click On Picture Above To View Captioned Album! 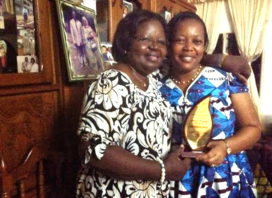 THE FORMIDABLE KAMPALA-UGANDA SAKERETTE DUO!! There's no way I'm posting this picture without telling the cute, little story behind it oh! 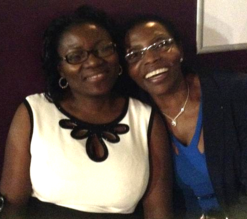 Thing is, when I traveled to Abuja in the Summer of 2012, one of the highlights of my trip was the BANQUET that Class of 1980's Dr. PATRICIA (Patty) ORINJI TANIFUM had for my family and I at her home. 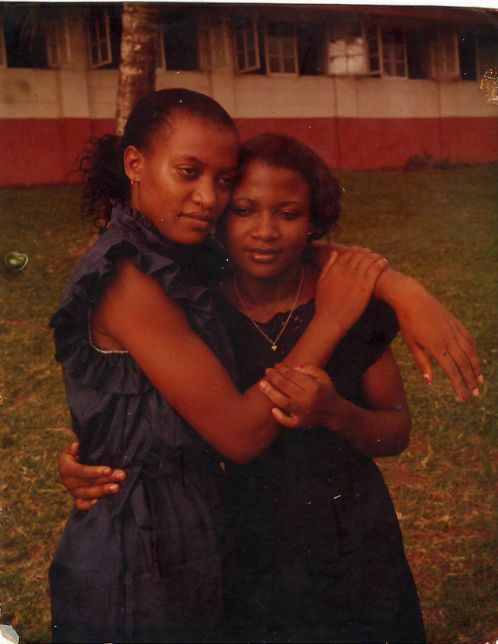 At the time, she was already aware that she would soon be moving to KAMPALA, UGANDA. "Just to let you know I have moved to Kampala, Uganda. 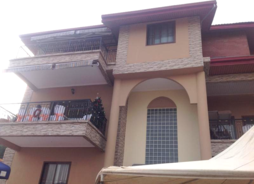 Did you once mention that there is a sister resident or working there? Do let me have her name and contact." 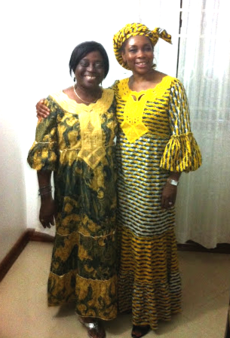 Welcome to Kampala, Sister Etondi! 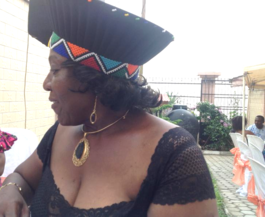 To imagine that the Cameroonian 'country-woman' who a few of us have been planning to "welcome" turns out to be an EXSA Big Sister!! We missed you about 3weeks ago because you traveled soon after you just took up service and I will be traveling out on leave tomorrow, Friday 23rd but I will sure find time to reach you on my return in September. 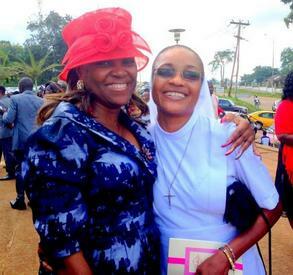 Needless to say that Sister Etondi and I have since hooked up... and life is fun! 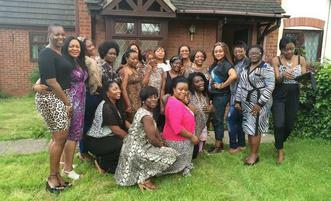 This our Saker Sisterhood no easy ooh! You tell me; what would be the likelihood that 2 ladies would have "one-kind clothes" in their wardrobes, and even more amazingly still, that the one day they decide to get together, they both appear in the "one-kind"! Well, check the attached picture for yourself and we are sure off to a good time here. 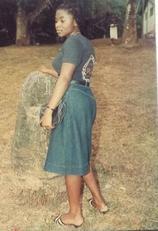 ​Wona too look de picture, and then wona tell me & Patty wehda MAGIC no dey inside dis SAKER PALAVA true-true!! People are just playing with us oh! Dem no sabi!! Hmm! 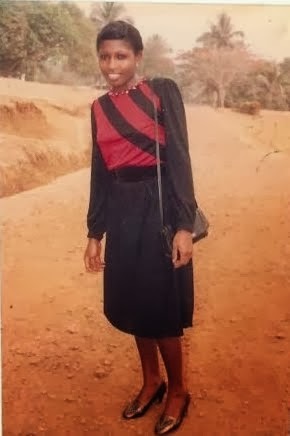 Gone are the days when, if you mentioned the word "KAMPALA" all that came to my mind was that '70s long "tie-an-dye" flow-flow maxi, (usually with billowing sleeves), that was called by that name! 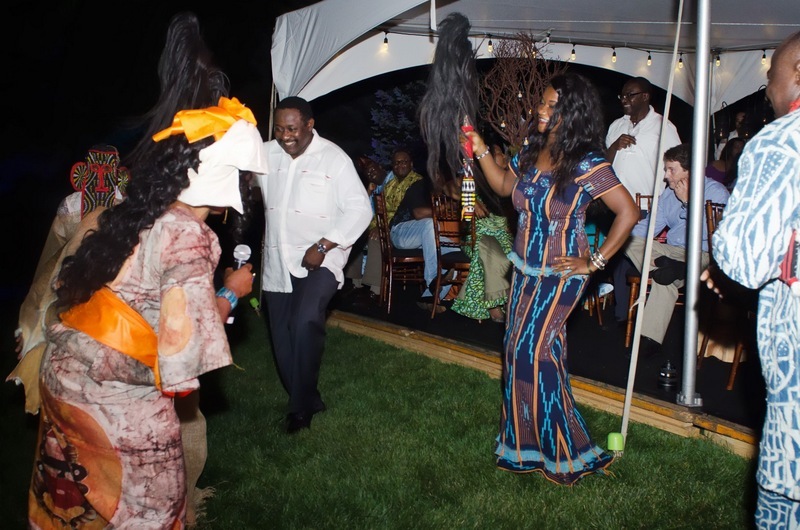 Now, "KAMPALA", for me, is tied to this heartwarming SAKERETTE CONNECTION! Ain't God Amazing??!! TWO GEMS FROM PIONEER, MA MARY AUGUSTINE MANGA'S COLLECTION!! 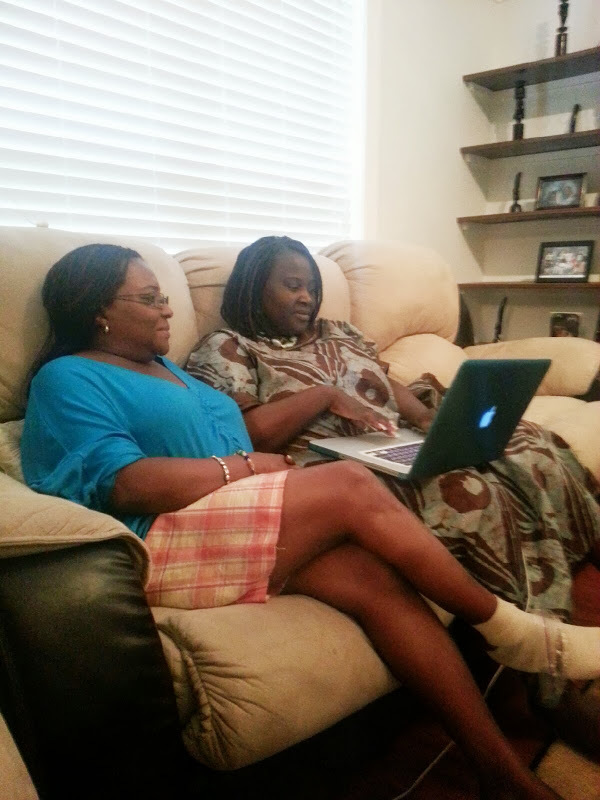 I don't know what you would have done if A WHOOOLE PIONEER, "GIRL NUMBER 3", SCATTER-PLACE-FOR-ExSSA-U.K. 2013 CONVENTION-WIT-UNPARALLELED SOUKOUS MADAM, took out precious time to scan and email pictures to you. Well, here's what I have chosen to do, with the UTMOST DELIGHT & GRATITUDE: share them with you, DE VERY DAY, so you can experience the same MUNYENGE that I did when I set my eyes on them! No be ting for waste time yah! 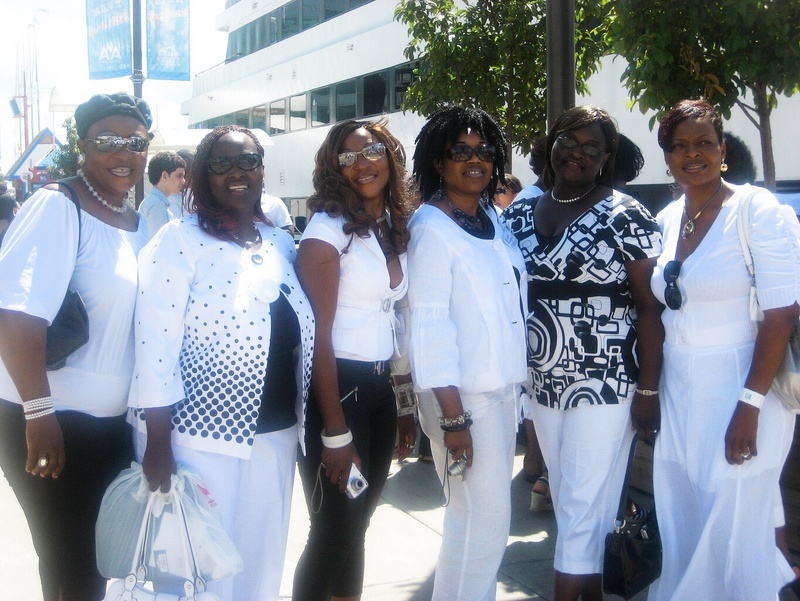 ALL HAIL OH, BIG SISTAHS!!! AND NOW, here's THE PICTURE THAT JUST THRILLED MY SOUL, along with the CAPTION that Ma Mary Augustine Manga sent with it, VERBATIM, as in, WORD-FOR-WORD!! 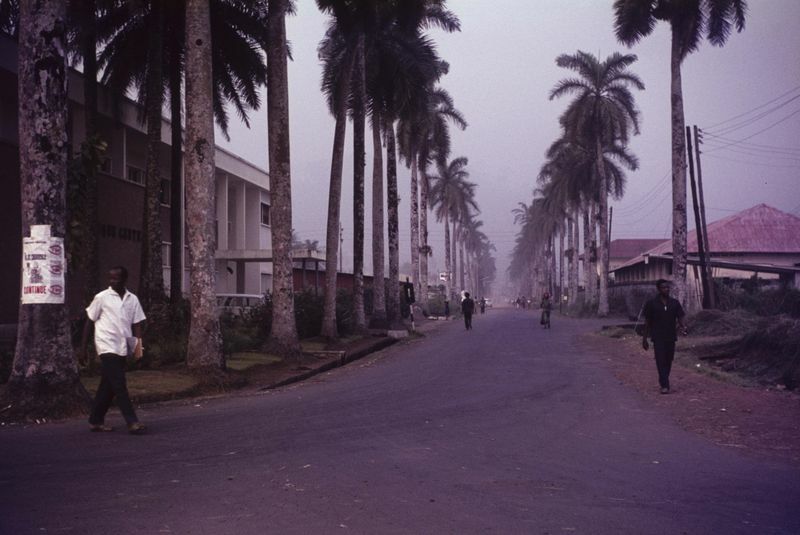 We visited the airport and Alfred Saker College in Deido Douala and some historic places in Douala Will you enjoy an SMOG bus ride. WEH-HEH-HEH! I don't quite know why, but the picture made me not just laugh at the whole "luxury bus" and "SMOG" thing, but shed a tear or two! Probably because I was thinking about how refreshing it is to see "LIVE", that CONTENTMENT is really NOT tied to "LUXURY" or "ABUNDANCE". 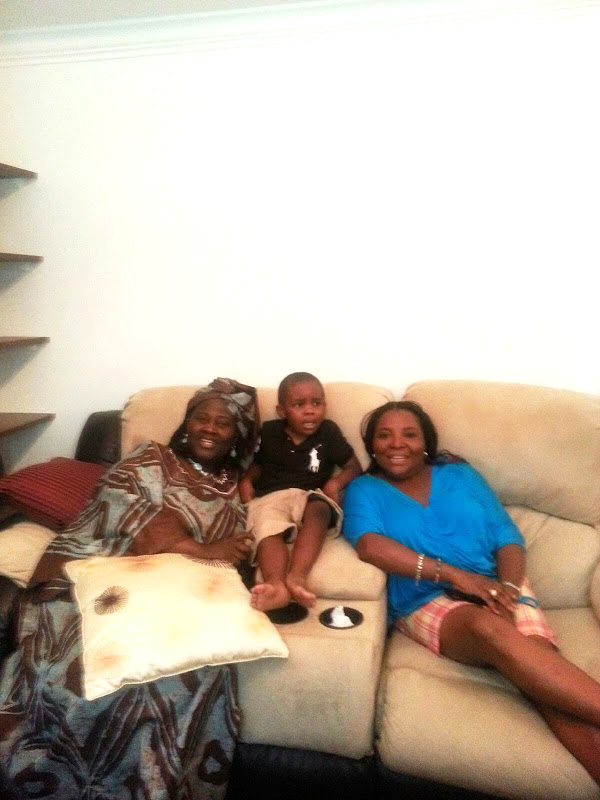 And then, just for COMPARE & CONTRAST purposes, I thought I should "juxtapose", (which Nyangi pikin no know big grammah? 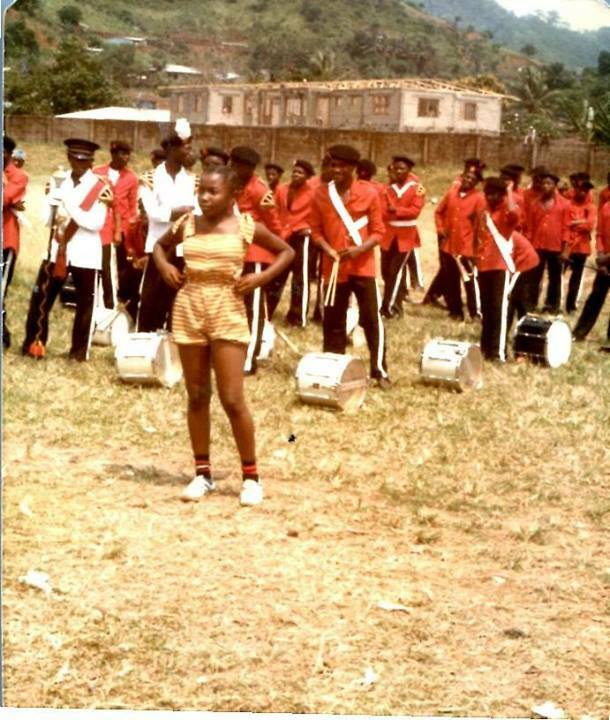 ), the '60s picture above, with this one below, taken 2 decades later, in 1984, on that year's DOUALA TOUR!!! As a famous man, (PIERRE DE MOUSSY), once said, "SANS COMMENTAIRE"!!! Know what? I renege on my "NO COMMENT" stance! 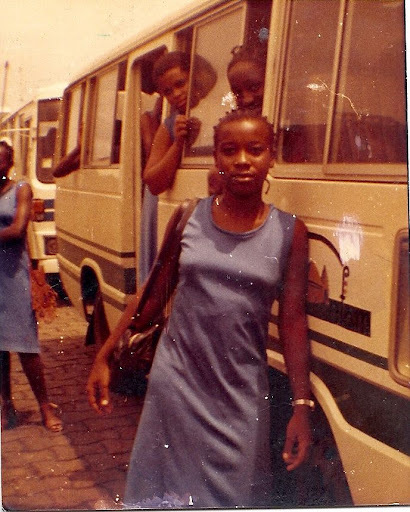 I just cannot help pointing out that the '60's gals in their "ngongoro"/lorry, look way happier and more excited than the '80s "yoyettes" in their air-conditioned bus. Or is it "just my imagination running away with me" - a la "The Temptations"? 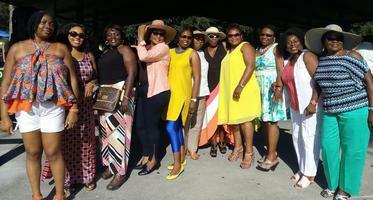 ​My Sistahs! 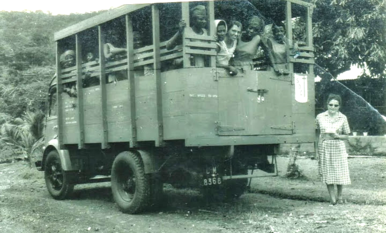 Since I saw the PIONEER Douala Tour picture above I have been "weeping" for our "Poor" PIONEERS because they had to ride to and from Douala in that "ngongoro". 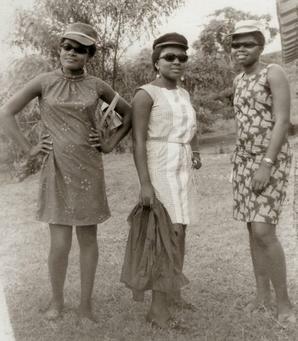 However, I instantly dried my eyes and blew whatever catarrh was left in my nostrils as soon as I received the picture below, which is dated MAY 1966, because it's abundantly clear that the DAMSELS had the EXPERIENCE OF THEIR LIVES oh!! 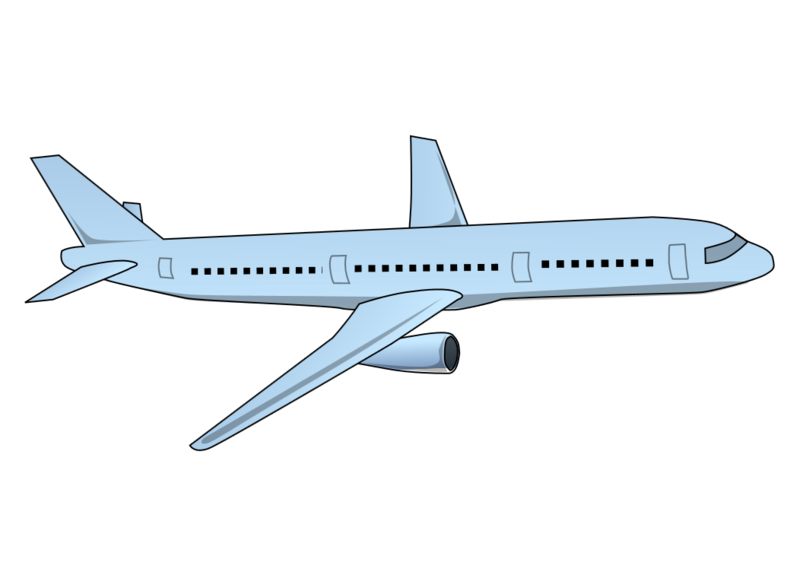 Some of the BORN 'N RAISED IN AMERICA students I teach today - "in this 21st Century like this", have never set foot in an airport, much less seen the inside of an airplane oh! 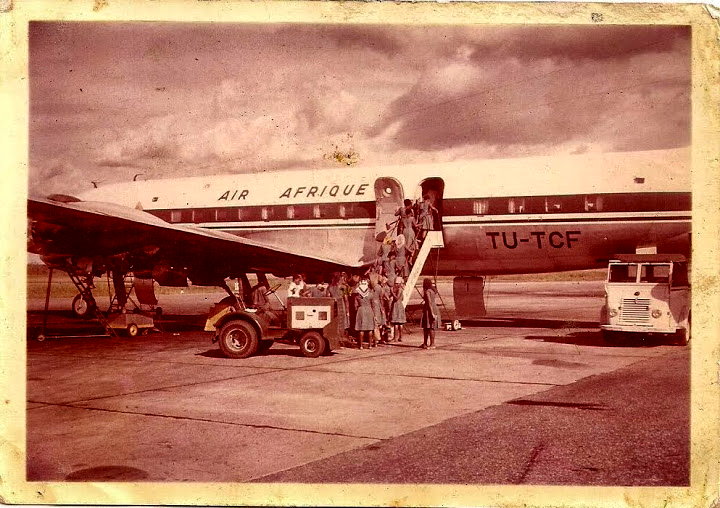 But here are our PIONEERS, siiiiiiiince for 1966 wey dem no be don born de majority of Sakerettes dem, just "carelessly" going up and down the steps to this AIR AFRIQUE aircraft like the Angels went up and down Jacob's Ladder! CIVILIZATION oh! MAWONGO!! 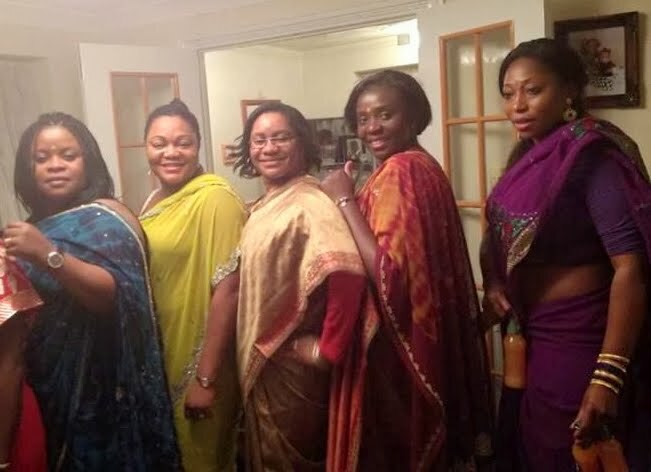 ExSSA-MIDLANDS' DECEMBER "INDIAN SARI" MEETING!!! 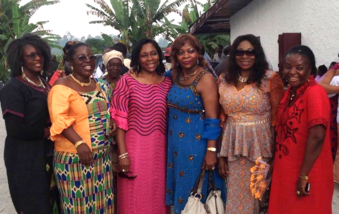 CLASS OF 1980 REPRESENTIN' IN BUEA!!! 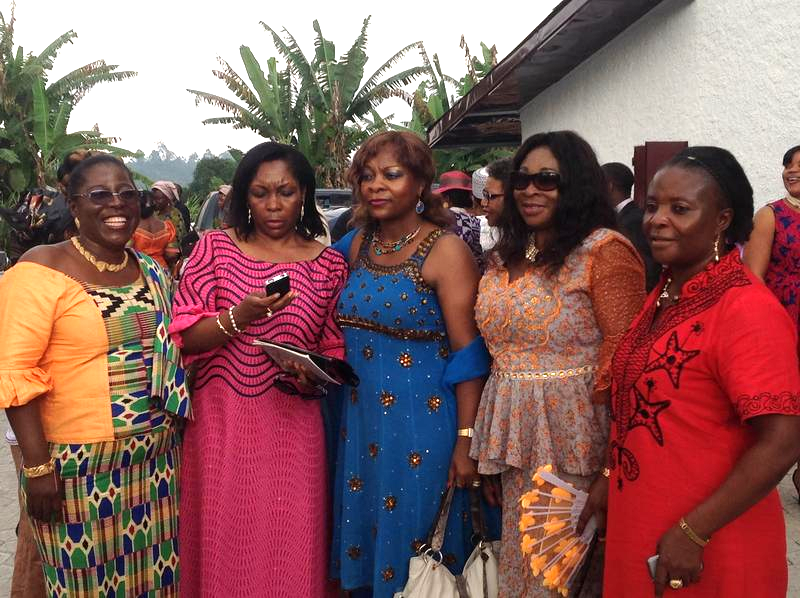 As you must have already gathered from the "RATS, CATS & CARATS CAUGHT IN THE FESTIVE MOOD" PICTURE ALBUM above, Dr. DOROTHY LIMUNGA NJEUMA celebrated her 70th Birthday in BUEA. Well, by the look of the pictures below, the occasion served as a CLASS OF 1980 MEETING AS WELL!!! 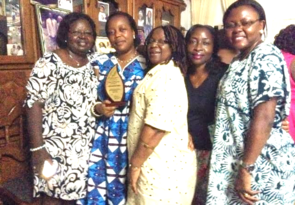 Left to Right: Dr. Mrs. Matilda FON Manjo, Uganda-based Dr. Mrs. Patty ORINJI Tanifum, Switzerland-based Dr. Mrs. Stella SHU Chungong, Nigeria-based, Iya Ngowo (Clara) NDIVE & Bertha KOGGERSON. 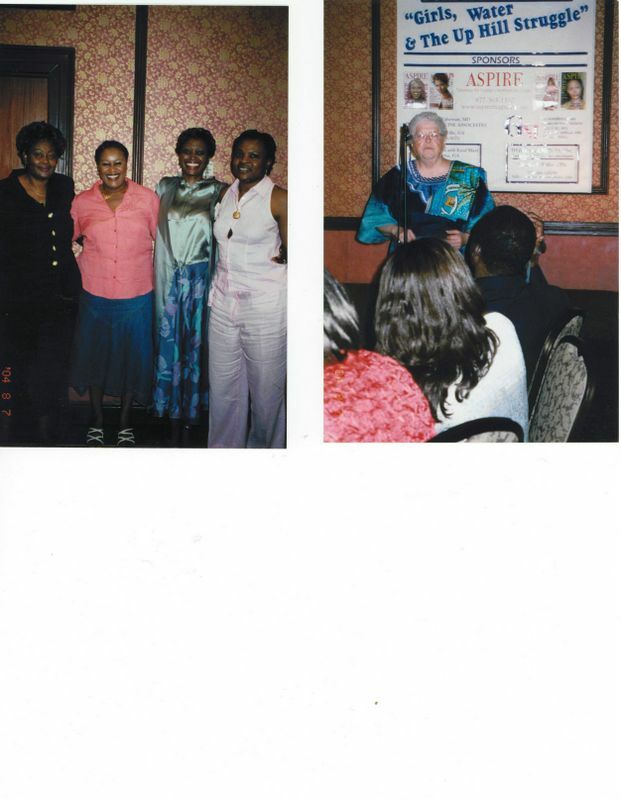 United Arab Emirates-based Mrs. Marie Endale LOTTIN Nasah shows up for the 3rd picture, far left, which is missing Clara Ndive. LEFT: Finally, we have ALL 6 of 'em! 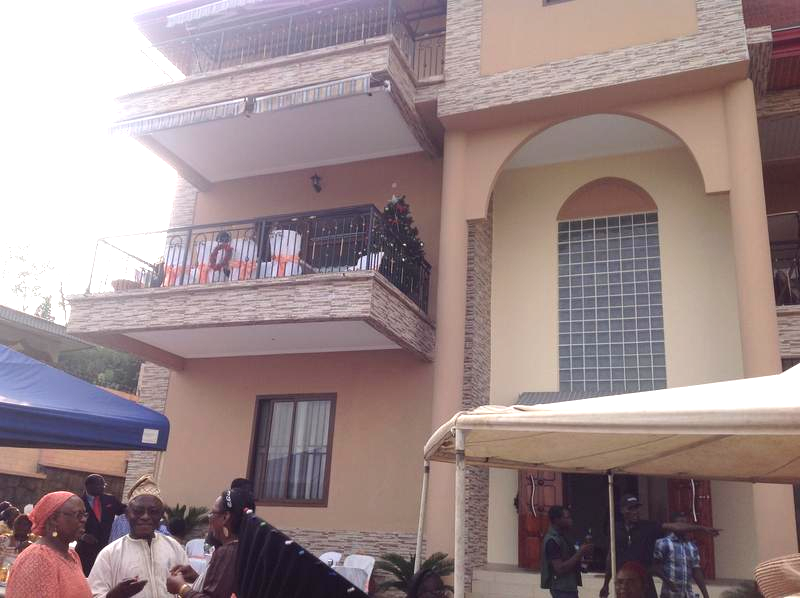 organized a THANKSGIVING Ceremony on Sunday, December 22nd 2013, at her IMPRESSIVE RESIDENCE (MONTE VIDEO MANOR), in Buea - Cameroon! You bet, SAKERETTES were there to celebrate with her!! 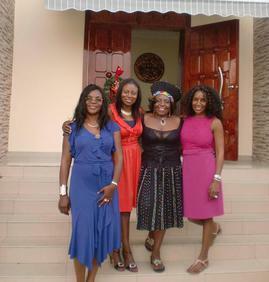 Posing at the entrance to THE MANOR with guests. 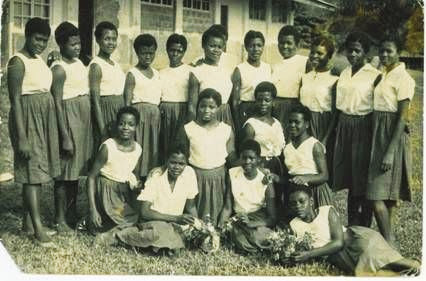 Mrs. Susan Elinge MUSOKO Ekollo ('78) at far left, in blue. who is relocating with her family to MINNESOTA. 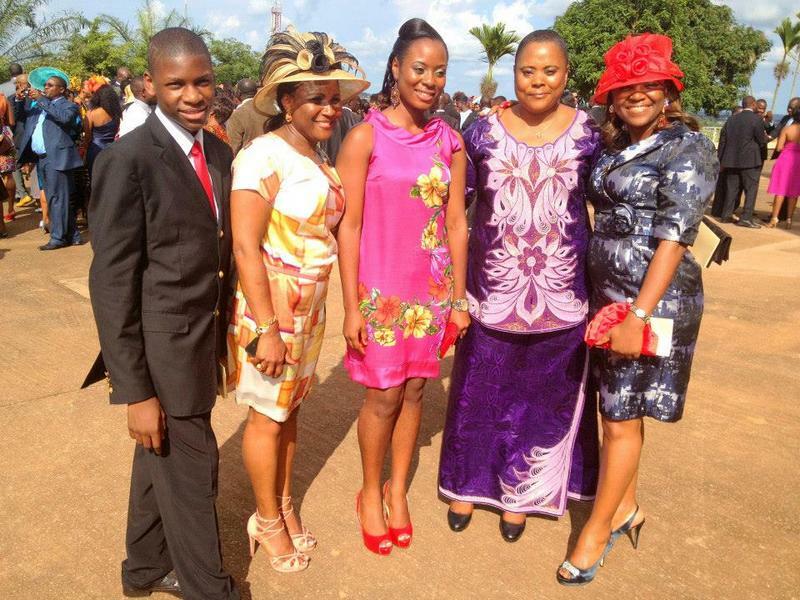 ​LEFT: Left to Right: Sis Esther Geh, Eleanor Ndongong Ghanga, Sis Eleanor Kange Akale, Dorcas Monjimbo & Tengu Fomukong Fokam. 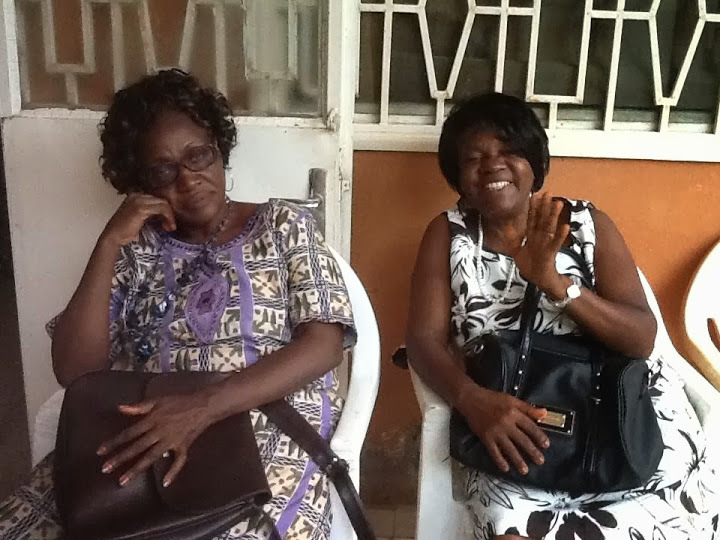 ExSSA-YAOUNDE'S FIRST MEETING OF 2014!! ExSSA-HOUSTON AT P.F. CHANG'S FOR JANUARY MEETING! NEW YEAR - NEW FASHION OH! 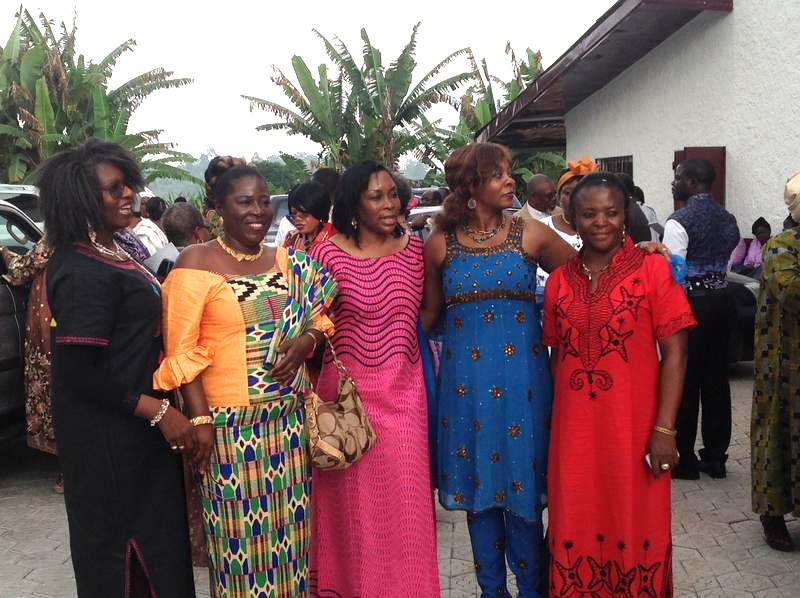 ExSSA-DOUALA CELEBRATES VALENTINES DAY AT THEIR FEBRUARY MEETING! This Enlightened Teens (Class of '76) Duo thrilled the group with a rendition of "I know who holds the future"
Now, Who can I spot eh? First of all, that's Sis Eleanor Kange Akale on the chair empty foot her yah! 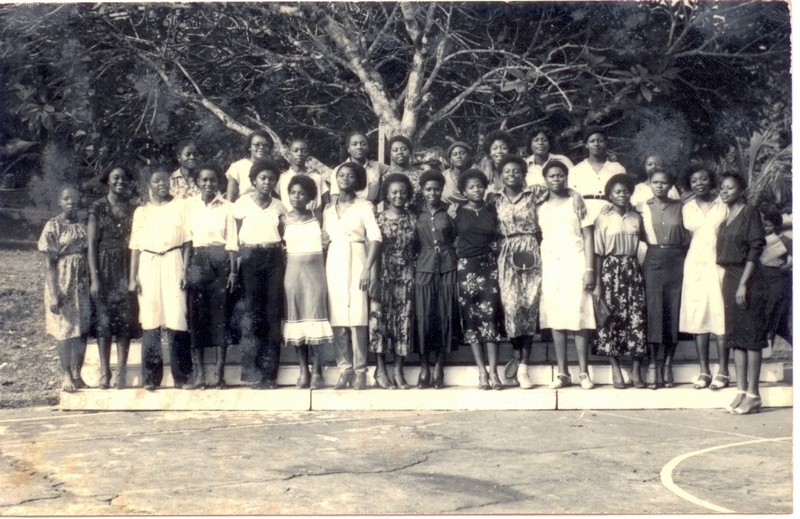 Then that's Sis Pam (Ngu) Enonchong Ayuk-Eta on the far right, Josephine Fomukong Awodabon in front of her, Sis Pru Awunti with deh red bandeau on the head, Sis Hilda Epie at the very center, Tengu Fomukong Fokam next to her, and Sis Belinda Oben Assam, 2nd from right. THE PARTY I WENT TO, RIGHT HERE IN CHARLOTTE! PLEASE CLICK ON PICTURE DIRECTLY ABOVE TO VIEW MUST-SEE PHOTO ALBUM!! 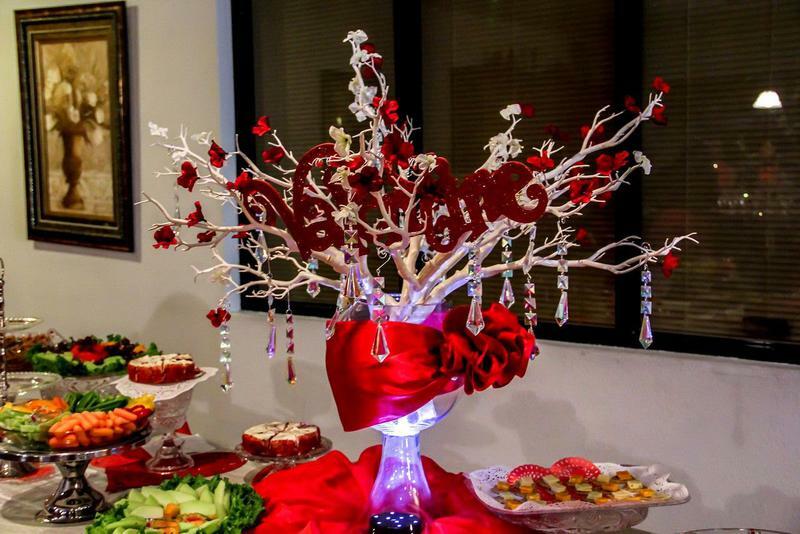 PICTURES FROM THE ExSSA-DALLAS V-DAY BANQUET! 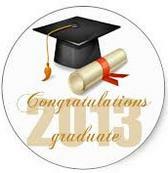 PLEASE CLICK ON PICTURE TO THE LEFT TO VIEW PHOTO ALBUM!! "It was such a pleasure for me last night to be among some amazing talented powerful and beautiful ladies known as SAKERETTES. 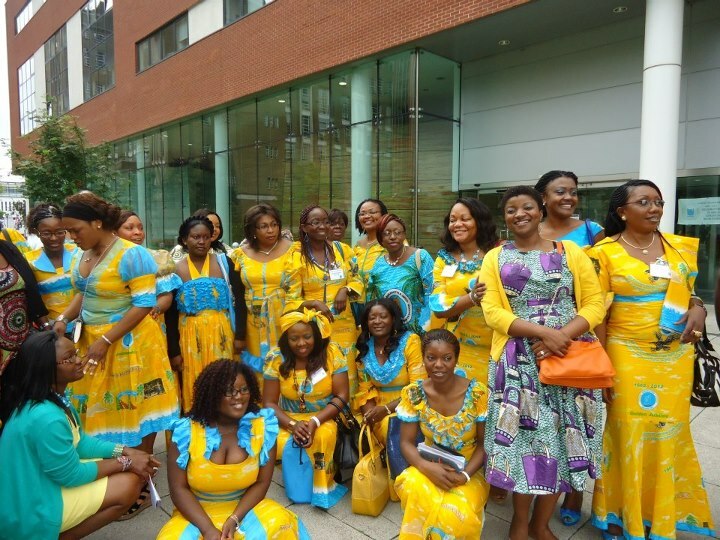 I am proud not just because my beautiful wife and sister belong in this great group of women but for what you do for the girl child in Cameroon." ExSSA-MINNESOTA IS IN THE HOUSE, BIG TIME!! 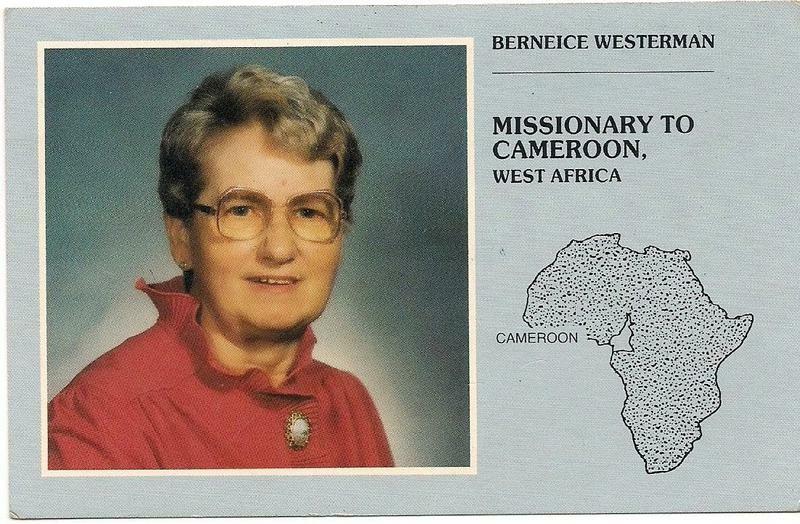 Note: Mrs. RUTH WITT passed away on March 7 2014. 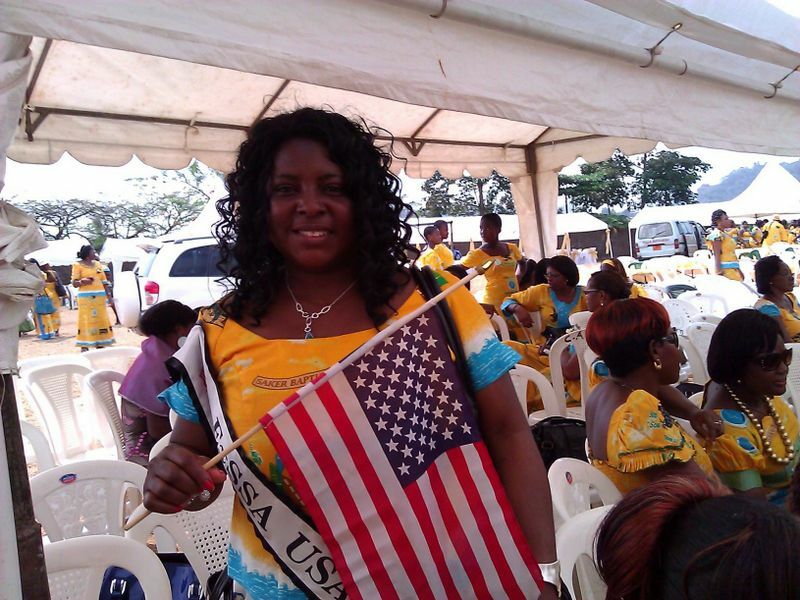 On JANUARY 12 2014, ExSSA-DOUALA sent off ELEANOR NDONGONG GHANGHA who was to relocate with her family to Minnesota, Right?? 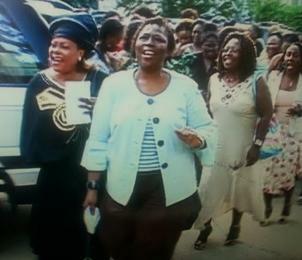 Well, I am thrilled to let ExSSA-Douala know that ELEANOR AH MA JAH!! 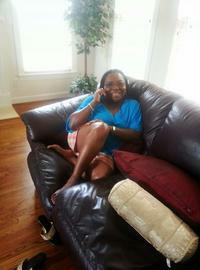 And she has wasted NO TIME in joining the fold!!! 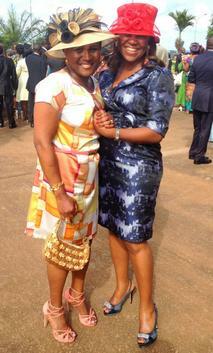 From ExSSA-DOUALA (left), to ExSSA-MINNESOTA (right) "Transfer Ekona"! 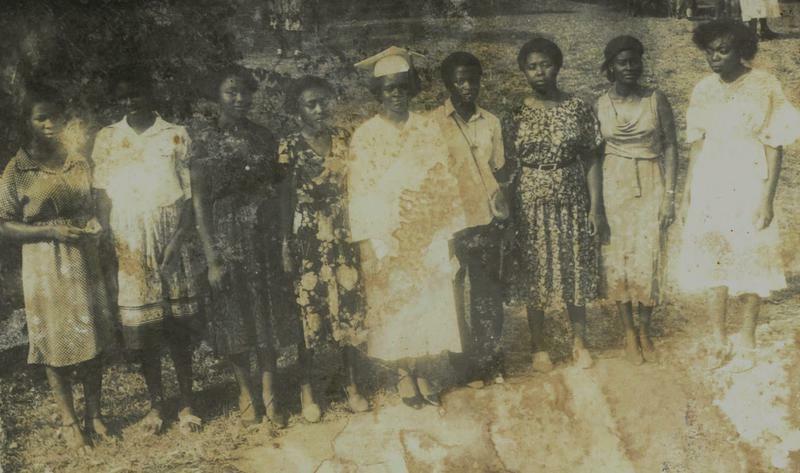 Back Row, L to R: Eleanor Ndongong Ghangha, ? 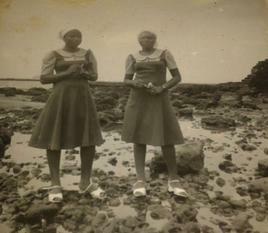 ?, Dada Masango (in beret), and Sis Rosa Befidi. 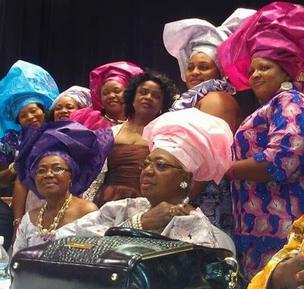 Front Row: LaBelle Nambangi, Florence Nchotu, Lucella Kepe, Sis Rita Akale, Flora Gwellem with Pam Nkowa behind her and Sue Ewanga Nkembe in front of her, Sis Rose Esake Ekobena, Isabelle Atem and Gwen Atabong Sands. 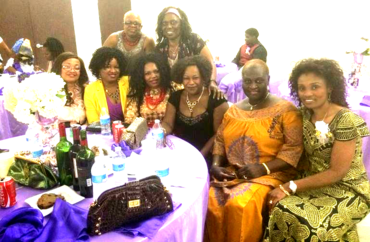 ExSSA-MINNESOTA'S MARCH MEETING - March 15 2014, at Sis Rosa Befidi's home: Front Row, L to R: Sis Rosa Njee Befidi, Sis Rita Akale, Eleanor Ndongong Ghangha, Pamela Nkowa, Lucella Kepe, Sis Melissa Nambangi, Flora Gwellem (La Blonde! 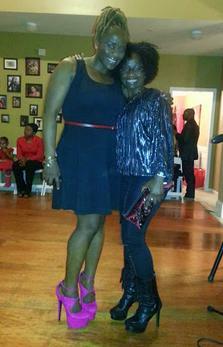 ), and LaBelle Nambangi. 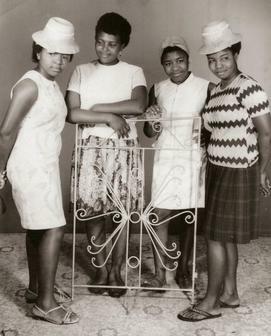 "Back Benchers", L to R: Dada Masango, Florence Nchotu, and Sue Ewanga Nkembe. Okay! 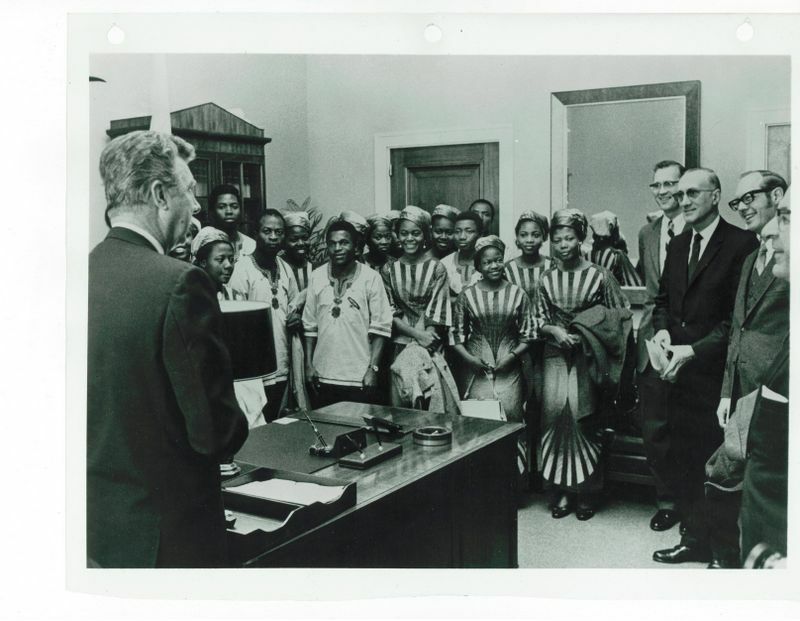 I see Isabelle Atem (in white pants suit) has traded places with Lucella Kepe, so she may have been the "snaffer" of the other picture to the left, while this one may be Lucella's "hand work"! 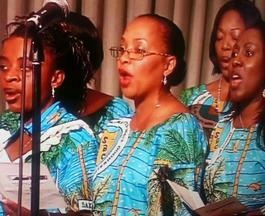 ExSSA REUNIFICATION CHOIR IN BUEA!! 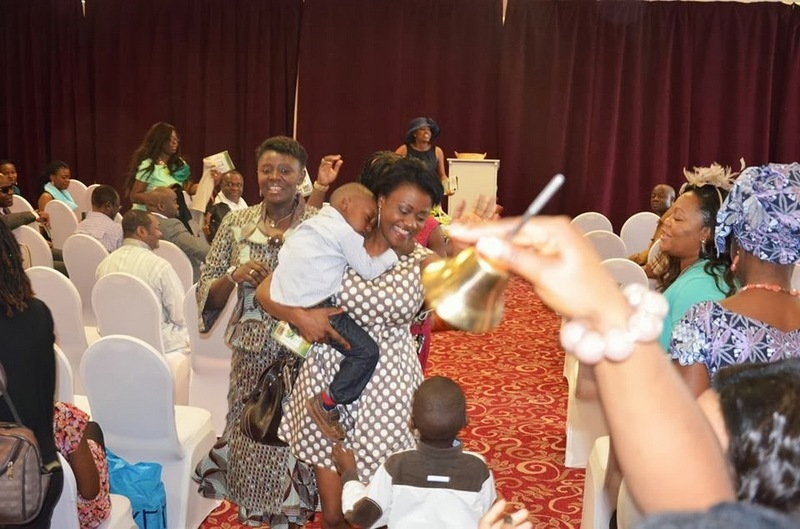 Sis DORA EKO MEOTO'S ELDER DEDICATION! CLASS OF '77 PLUCKY CONVENTION 2014! 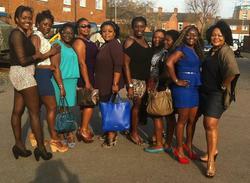 PLEASE CLICK ON PICTURES TO VIEW ALBUMS. PLEASE CLICK ON EACH PICTURE TO VIEW EACH PHOTO ALBUM! 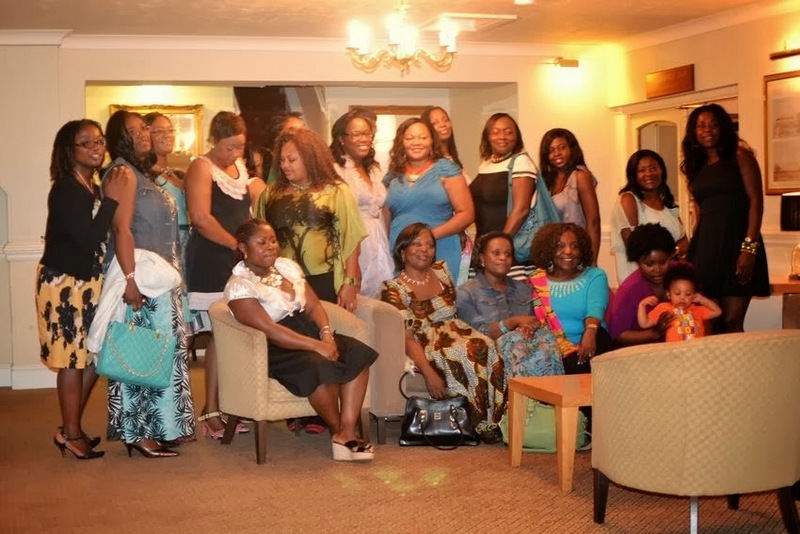 ExSSA-MIDLANDS' "JEANS DRESS" SEPTEMBER 2014 MEETING! PLEASE CLICK ON BOTH PICTURES TO VIEW ALBUMS! 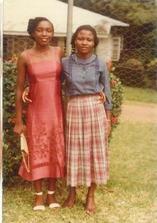 CLASS OF 1977's SIS IRENE TAMAJONG'S OLDIES! CLICK ON IMAGE ABOVE TO SEE MORE PICTURES! CLASS OF 1981's MA MONJIMBO'S OLDIES! THE GOOD OLD SEVENTIES & EIGHTIES AT SBC!! CLICK ON ALL 3 IMAGES TO VIEW PHOTO ALBUMS! TO VIEW A FEW MORE PICTURES. 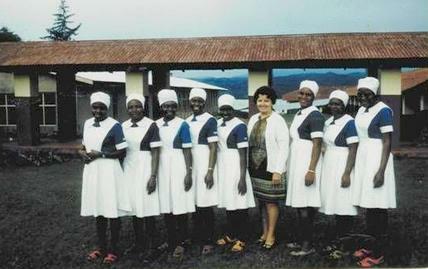 Sophie Ngongi, Vivian Ngwenson Lambe, Susan Ngembus, Ngonde Martins Puepet, Faith Sikod Menyoli, Beatrice Lambe, Pauline Litumbe Hill, cecy and Emelia Malange, Sis Mother Mbua and Sis Efeti Ojongtambia. 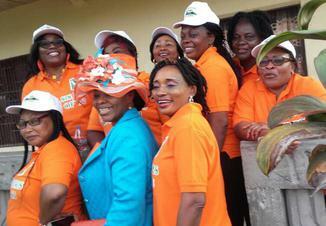 PLEASE CLICK ON PICTURES TO VIEW THE 2 ALBUMS. CLASS OF 1982's MARIE PENDIE'S OLDIES! 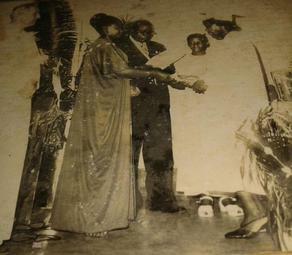 Mrs. Beatrice Nokuri hands Catherine Njonguo her Diploma at the Class of 1980 Graduation in June of that year, while Principal William Nso Tayui looks on. 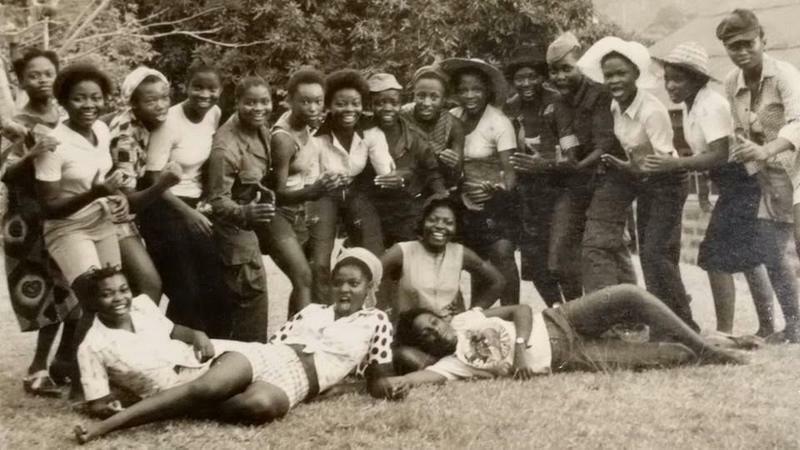 Front Row, L to R: Justine Bamu?, Esther Tembe, ? 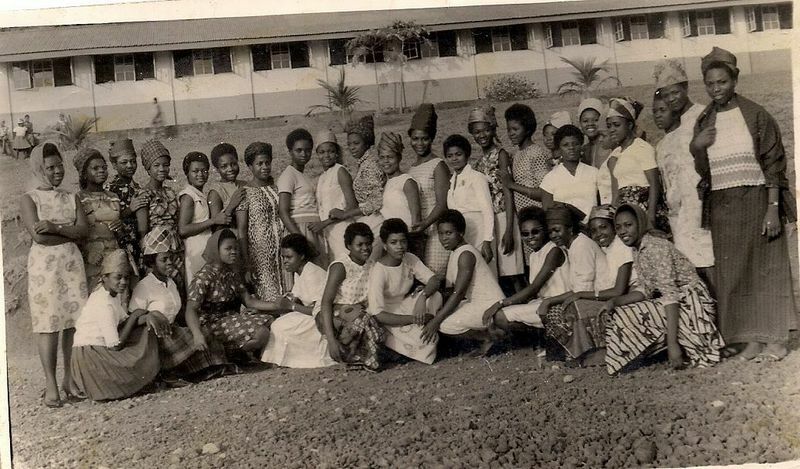 ?, Josephine Fomukong, Lucy Bantar, Deborah Asoh, Felicitas Takang, Veronica Ugwu, Grace Anjah, Rose Mokoma, Julianna Mokosso, ? ?, Georgiana Anene. From left to right below. Victorine Kema, Justice Florence Asaah Awasum,and Delila Agnes Efeti Monono who is the South West Region Delegate of Tourism. Those standing behind. 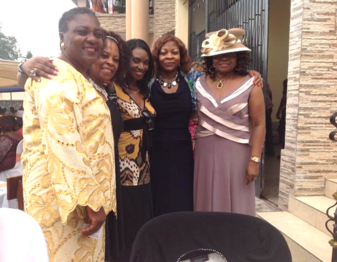 My humble self Dr Rosemary Maloba Dioh Enaw, Elizabeth Moki, Philomina Chinda,Comfort Ngomanji, Anne Agbor and finally Vivian Abolo. VID-20170625-WA0004.mp4 from Egbe Monjimbo on Vimeo.